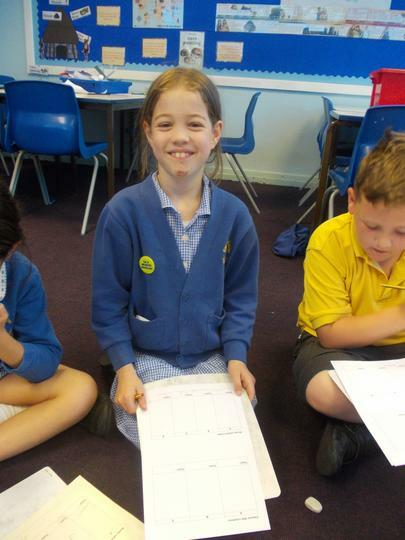 Spellings – Given out fortnightly and spelling activities to be completed. 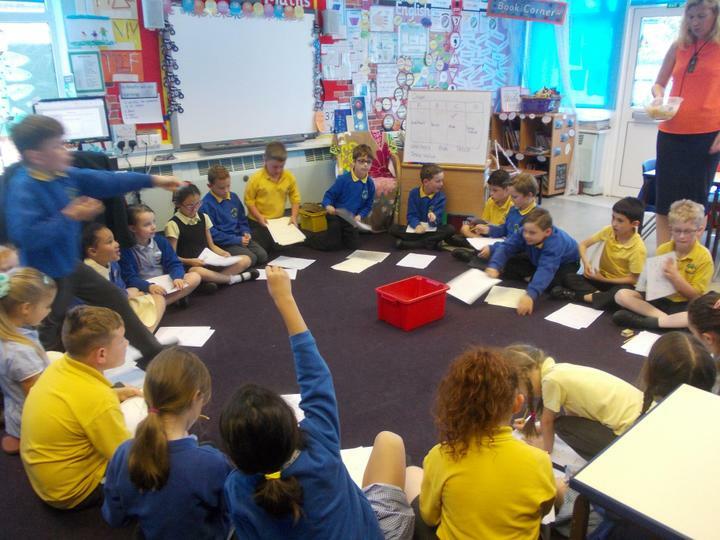 English and Maths – Given out on a Thursday, to be returned no later than the following Tuesday. 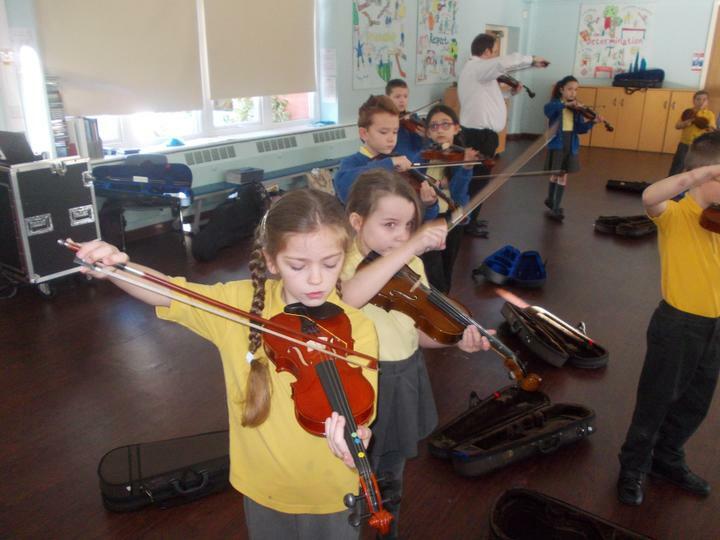 Tuesday - Please remember to bring your Violin! 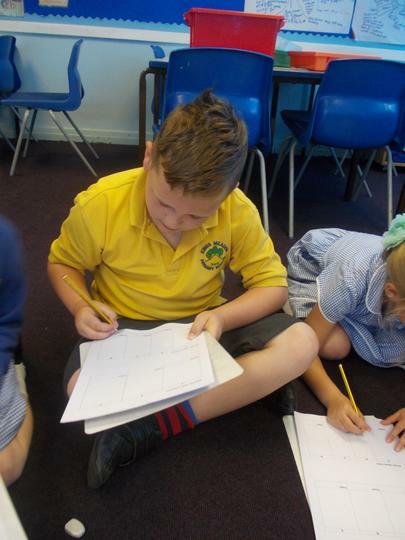 As writers we will be investigating a variety of different text types including: writing a recount of our trip to Tatton Park, a diary entry from the Stone Age Boy, a film review on the Croods, a report on their archaeological dig, we will create our own stone age poem as well as writing our own Stone Age story. 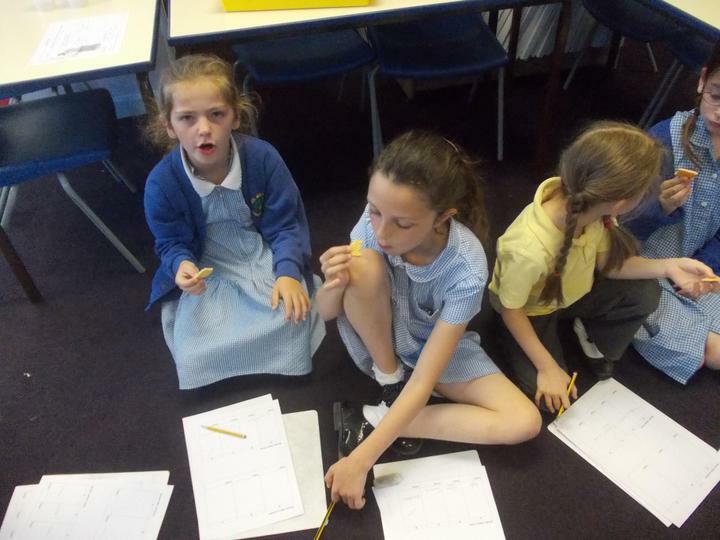 As geographers we will be finding out about specific areas of interest in Britain which relate to the stone age. 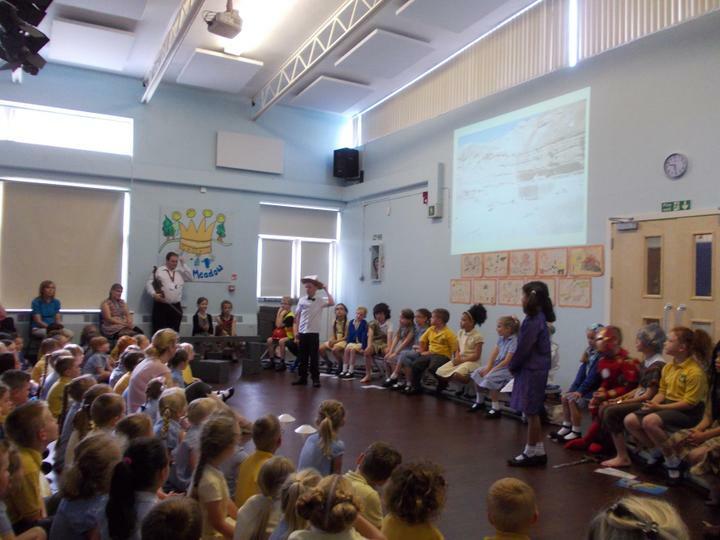 We will name and locate counties and cities of the UK, geographical regions and their key topographical features. 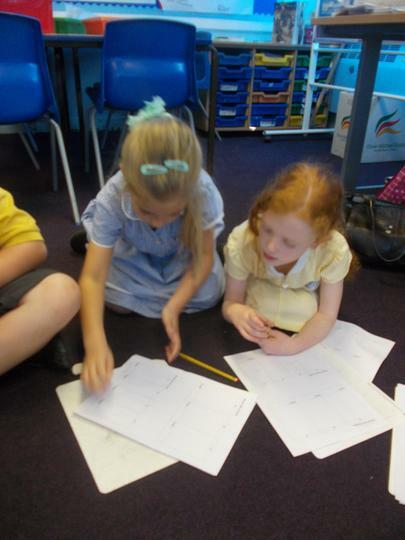 We will also use the symbols and key ordnance survey maps and generate four and six digit grid references. 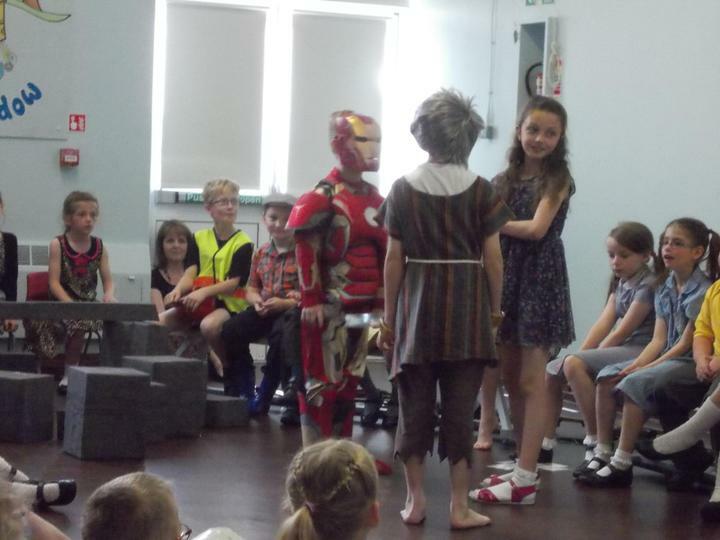 As historians we will be learning about how life in Britain has evolved form the Stone Age through to the Iron Age. 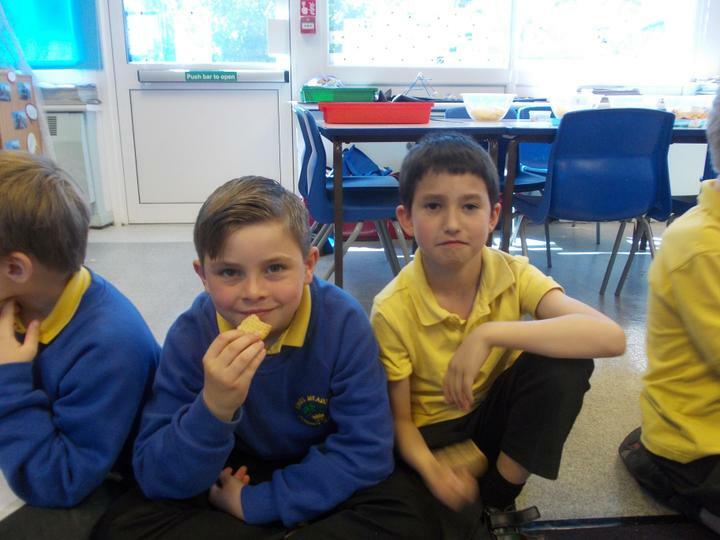 We will discover what everyday life was like, how their homes changed over time, hunting and gathering and the weapons they used, how food was prepared and cooked, Stonehenge and its importance as well as discovering what they wore and how they made the jewellery that they wore. 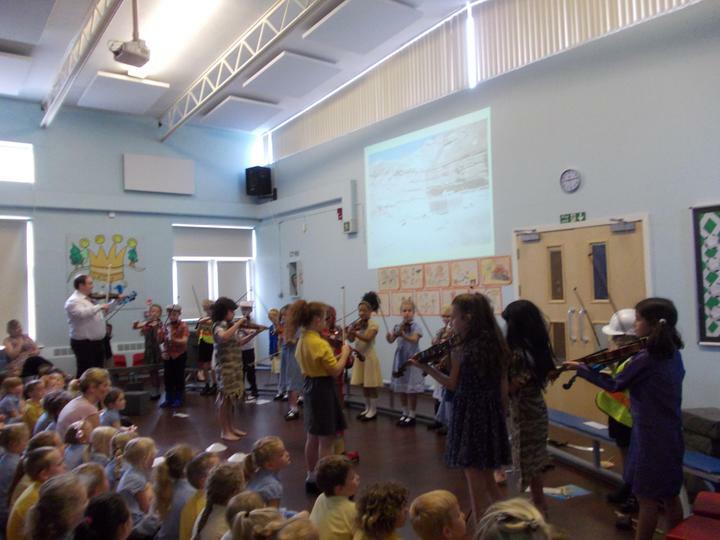 As musicians we will continue to learn to play the violin and we will be learning how music was made in the Stone Age. 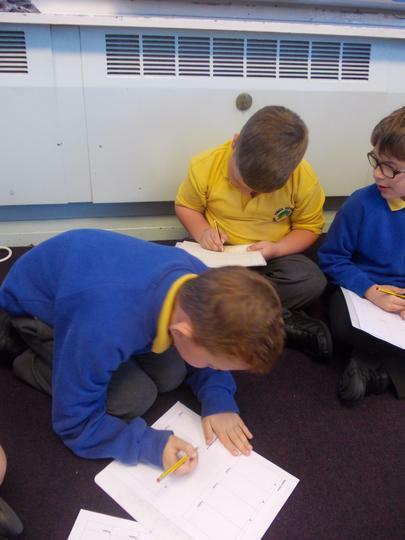 As artists we will be looking at the work of various anonymous artists in the Stone Age and we will create our own cave paintings. 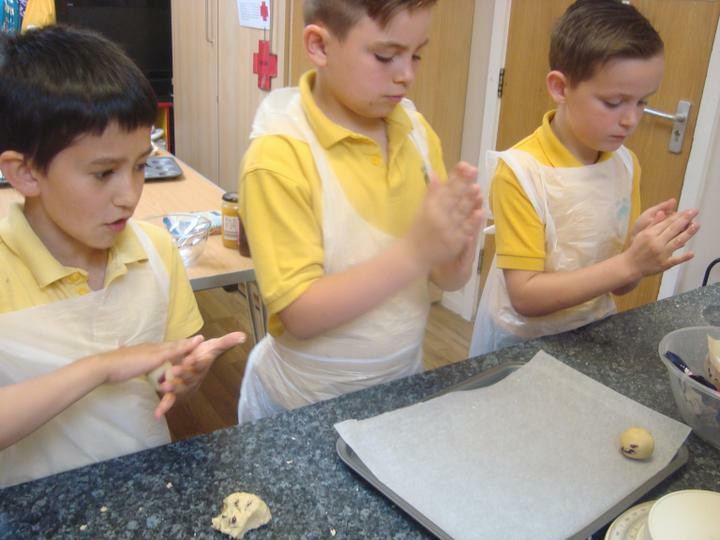 As design technologists we will be designing and making our own caves, models of Stonehenge and creating Stone Age jewellery. 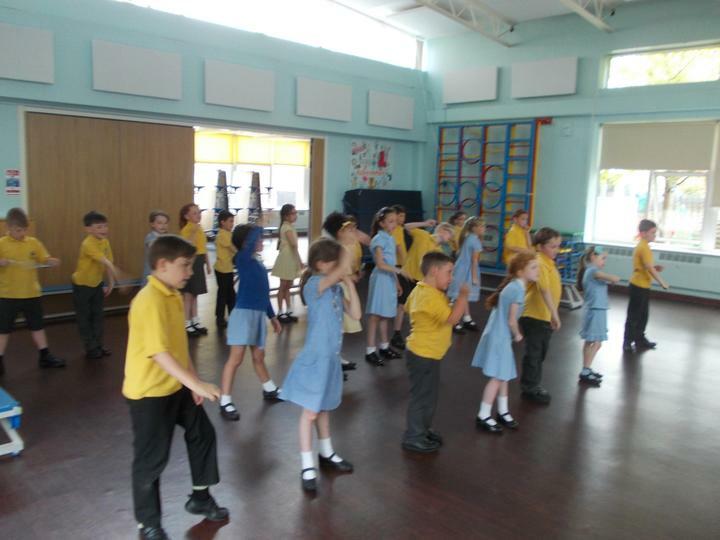 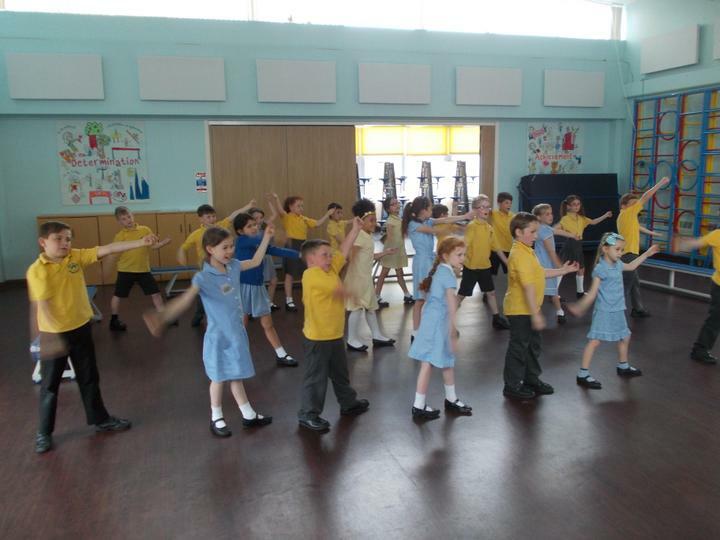 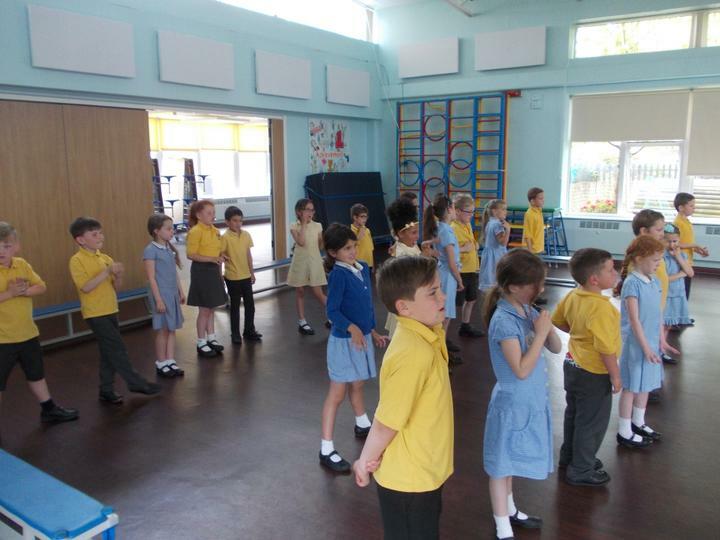 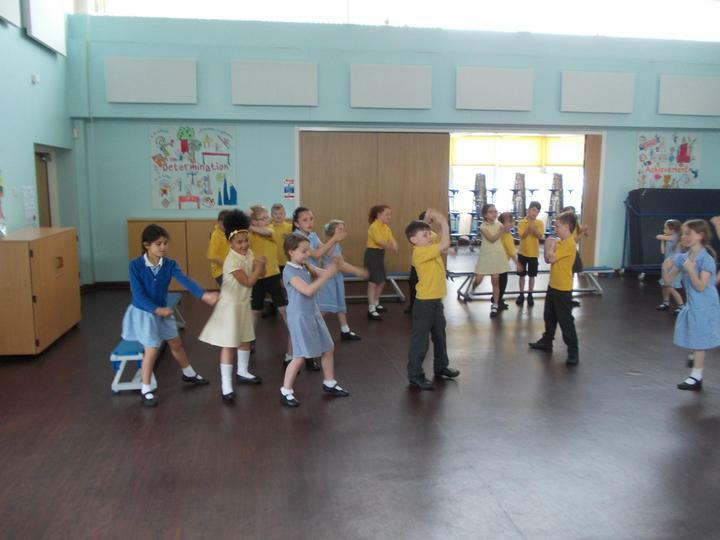 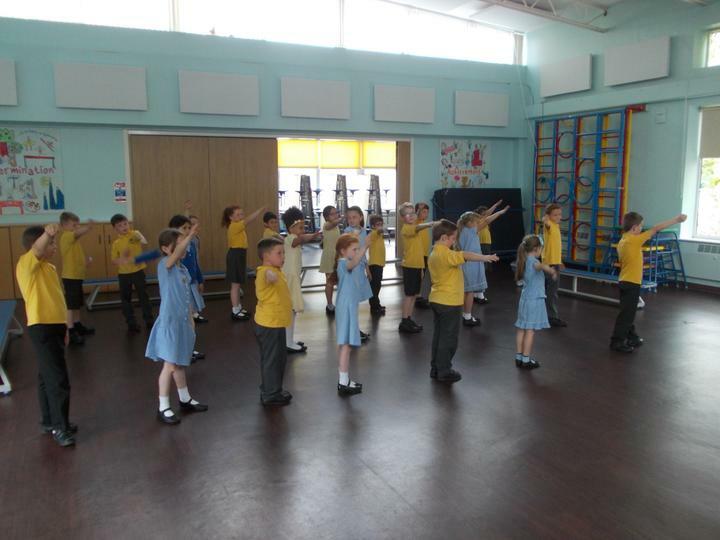 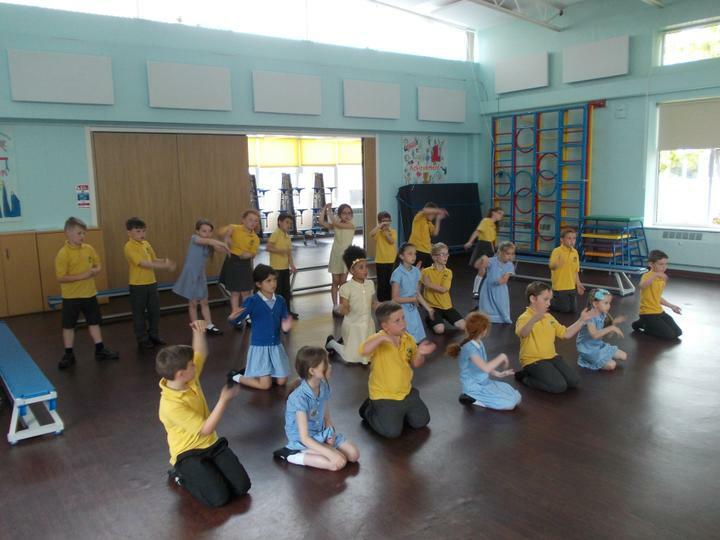 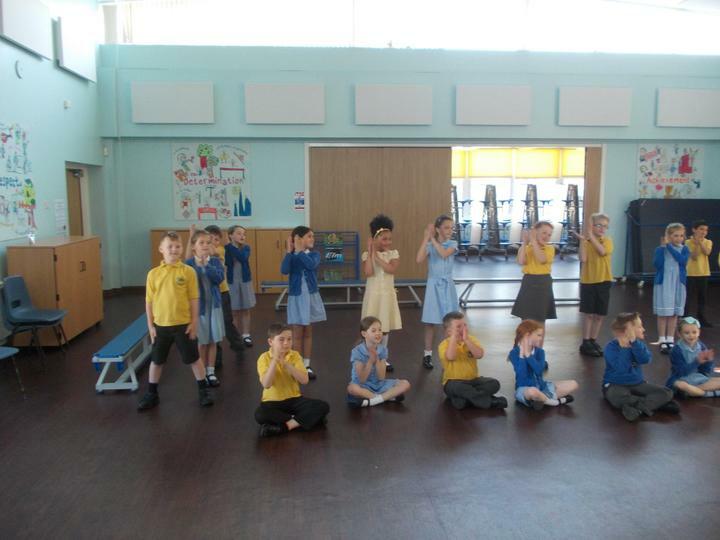 As dancers we will be learning a stone age dance with Miss Wendy. 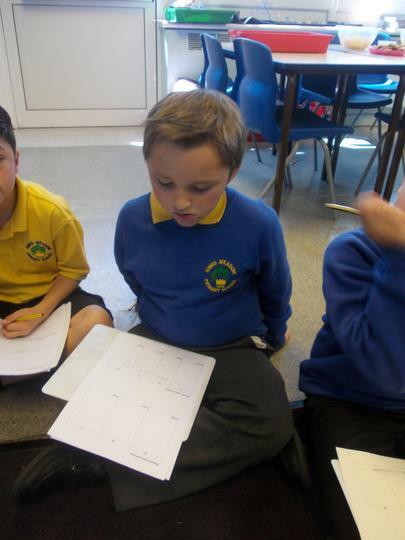 As computer experts we will be using the interent to carry out our own research about the Stone Age. 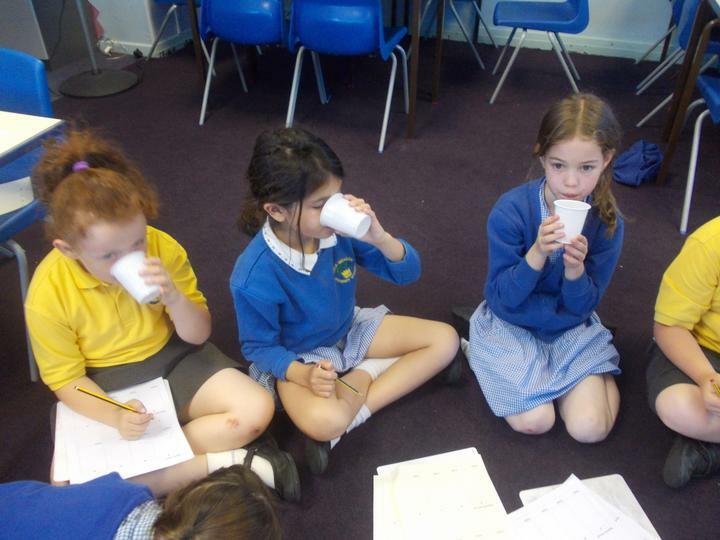 As theologians we will be studying Christianity and the faith of Islam. 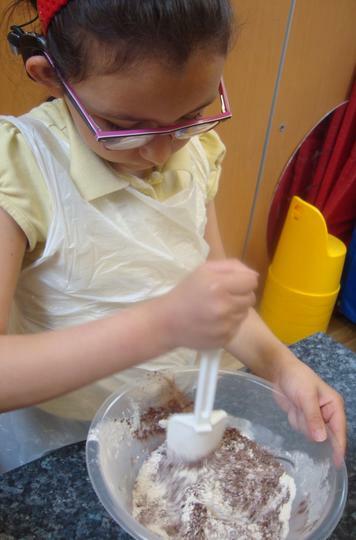 As scientists we will be learning about rocks and soils. 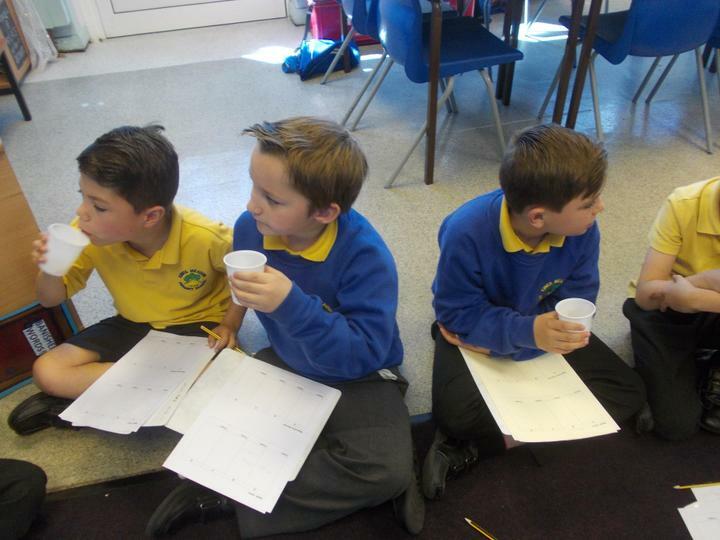 We will identify the different types of rocks and conduct various experiments to assess the properties of rocks. 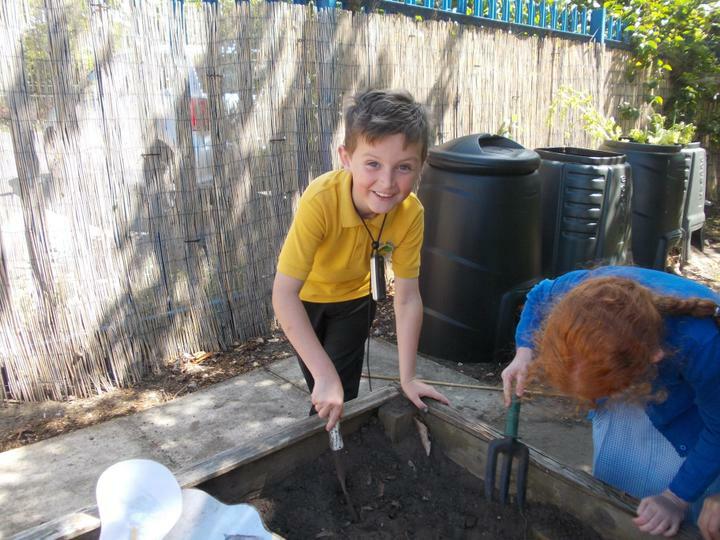 We will look at fossils and investigate different types of soils. 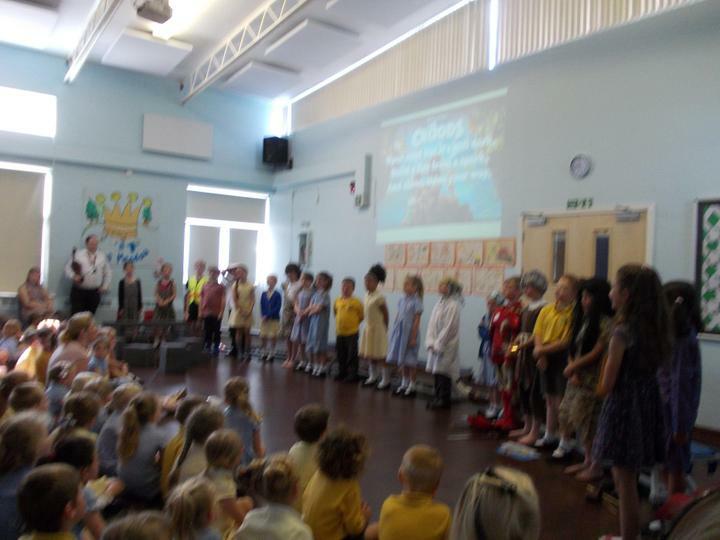 Well done, we are very proud of you all and keep up the good work. 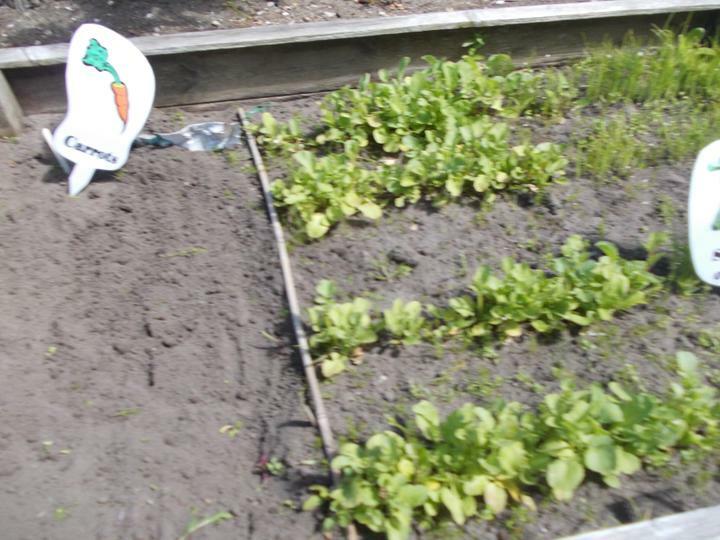 Get out, go green day 3! 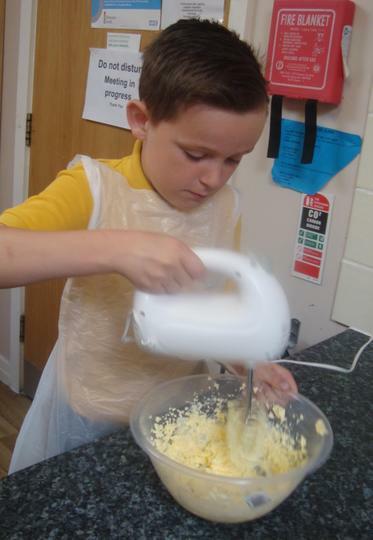 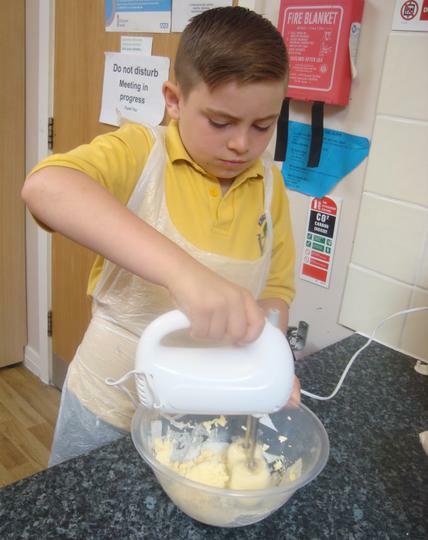 Today the children have finished off some of their posters, finished off icing some of the cakes and dug up some of the potatoes which they are selling at sports day on Thursday. 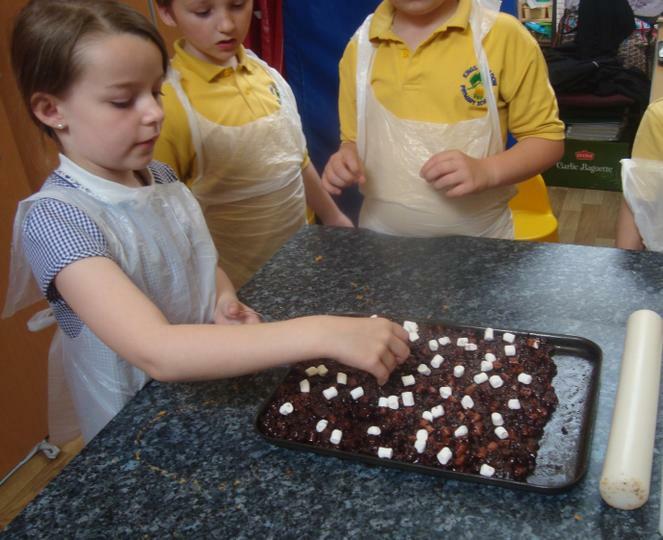 Today the children designed their own poster to promote our cake and plant sale. 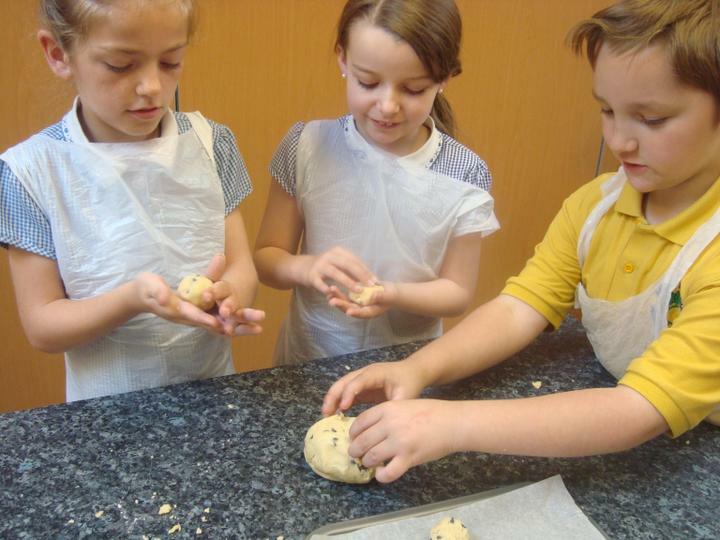 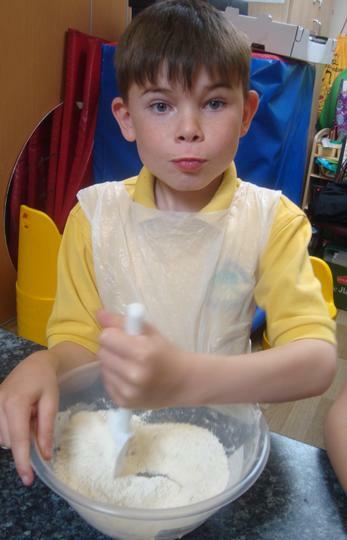 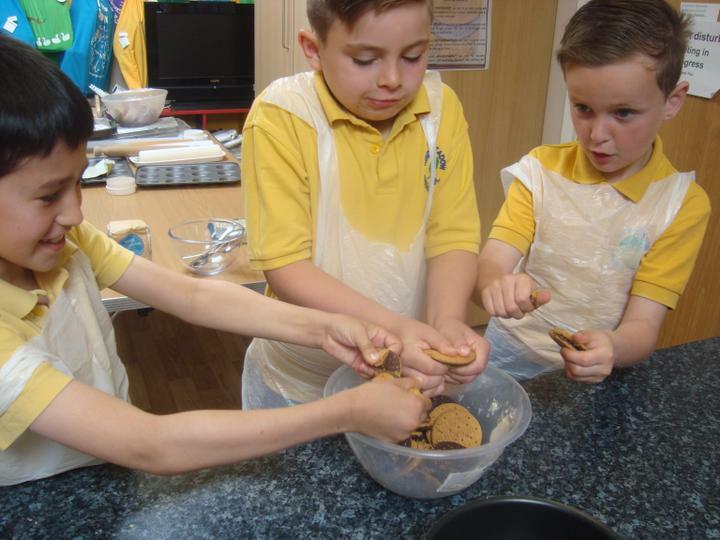 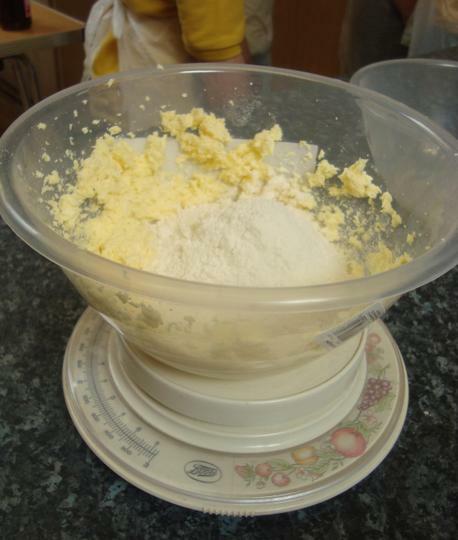 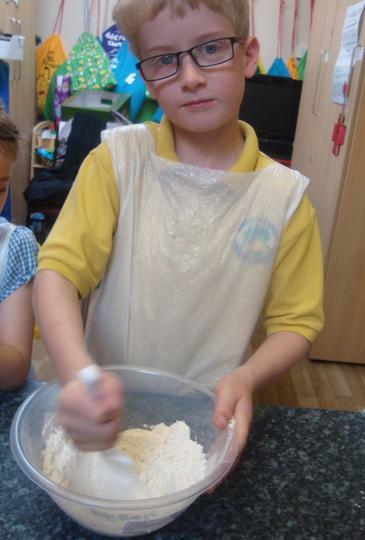 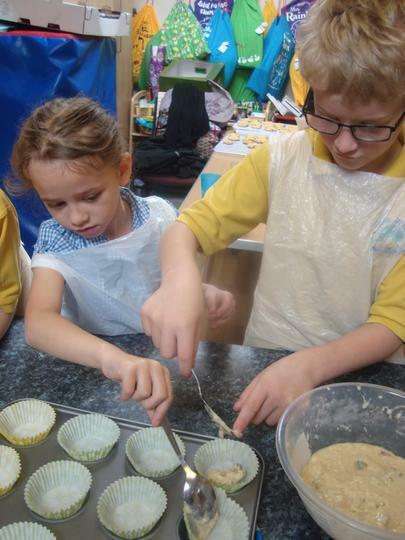 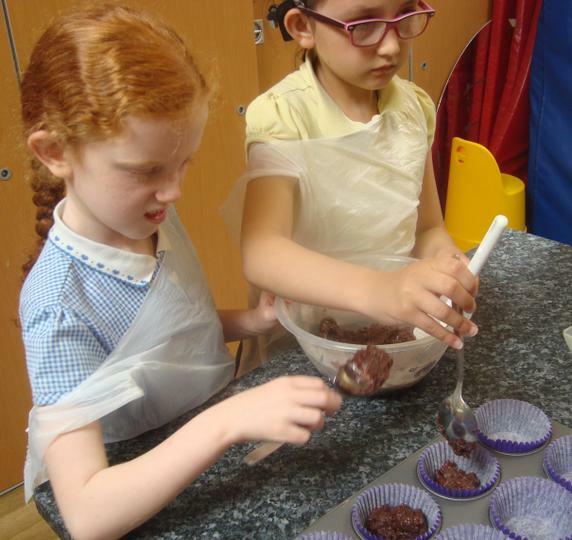 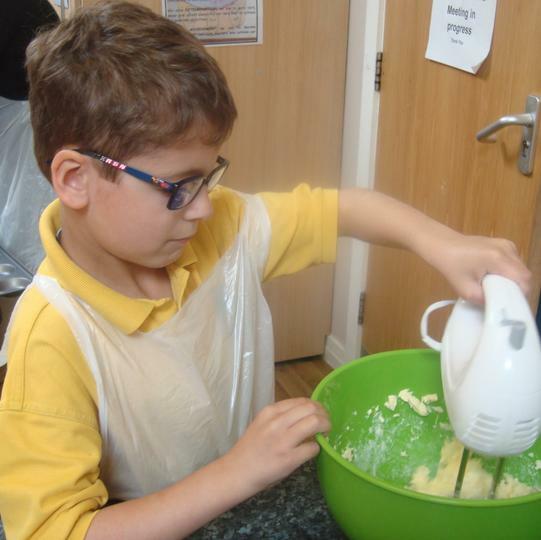 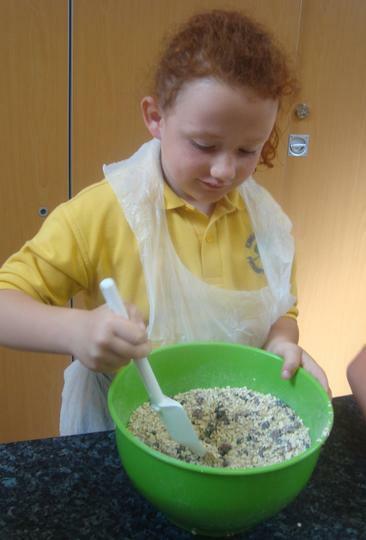 They decided that they would like to bake cakes and sell them at Sports day on Thursday to raise money to buy new seeds and plants to go back in to the vegetable patch. 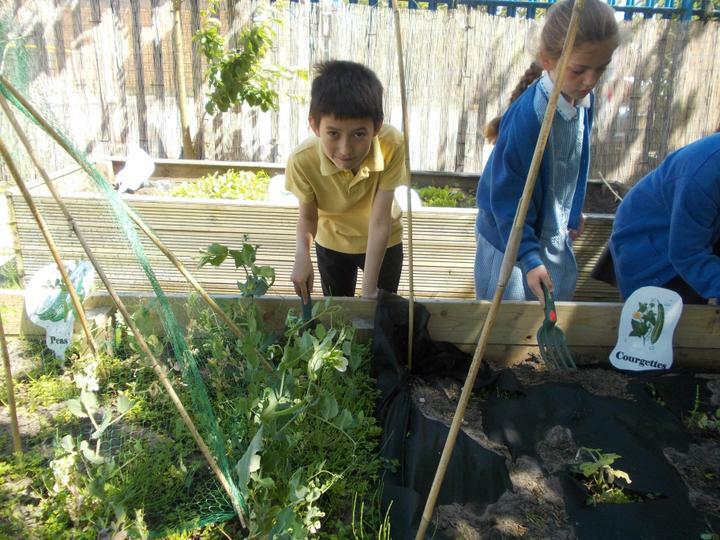 There will also be the opportunity to purchase some of the plants that the children have been growing. 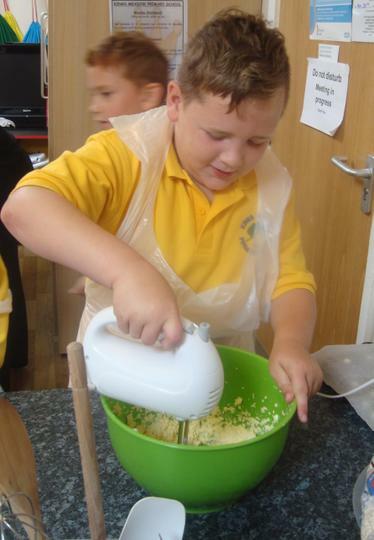 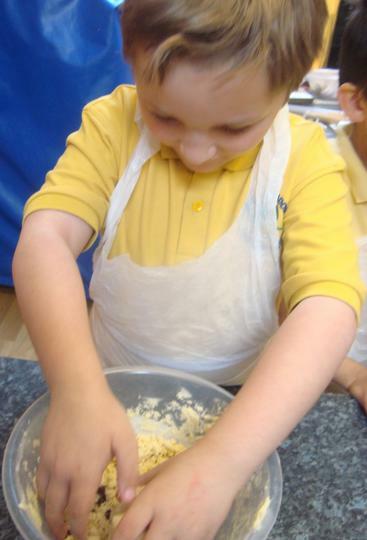 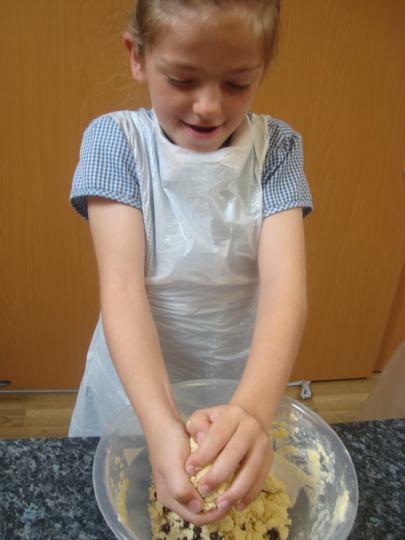 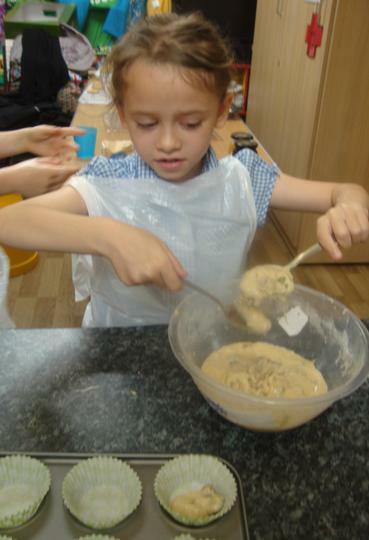 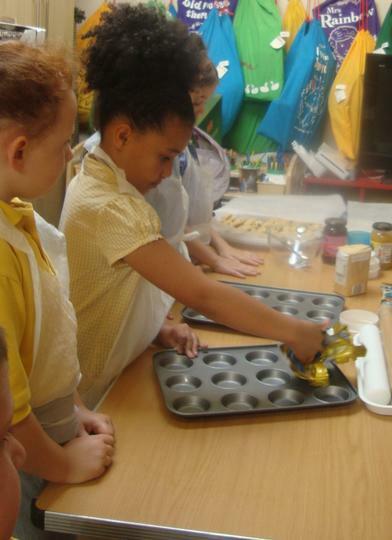 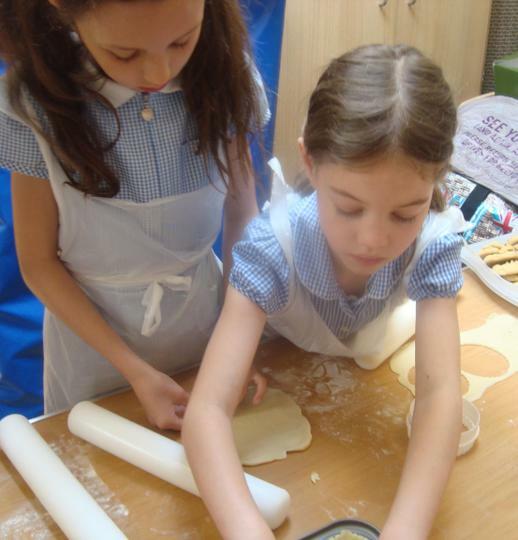 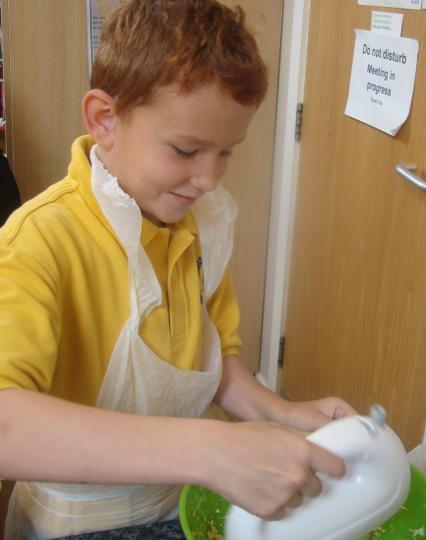 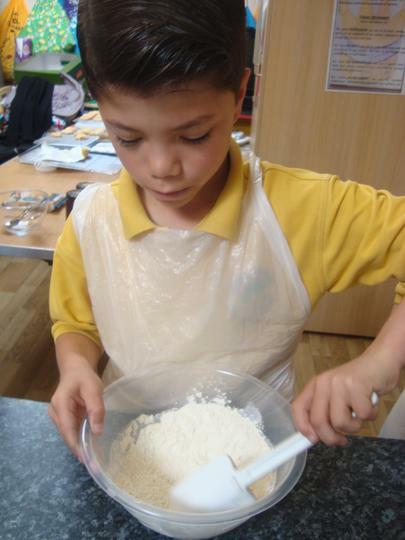 The children were very busy today because they made all of the cakes that they needed to for the event. 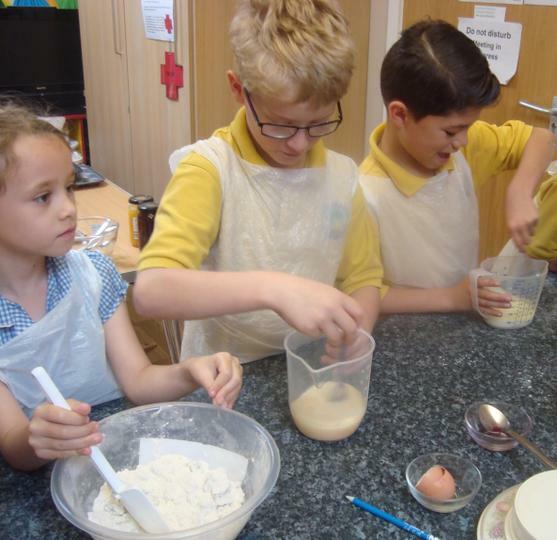 They also decided that it would be a good idea to raffle off a coupe of larger cakes which are kindly being donated to school by Mrs Parker, Kings Kids and Mrs Taylor. 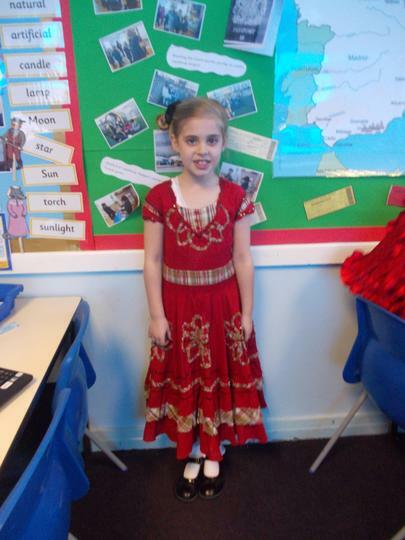 Thank you all very much. 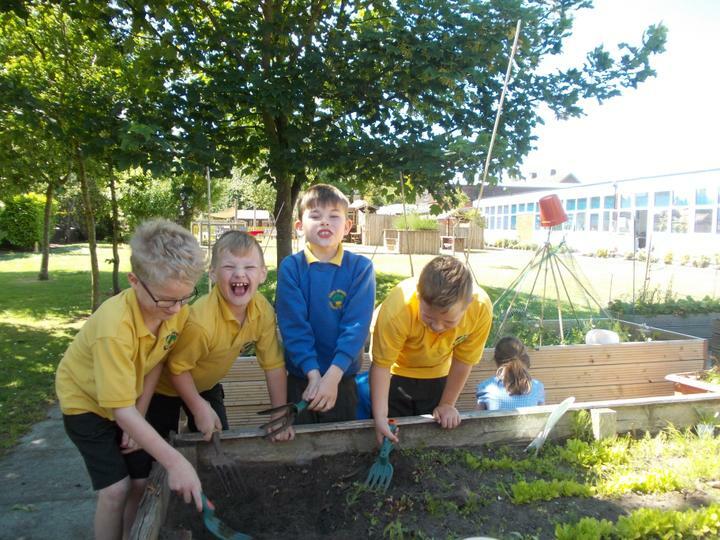 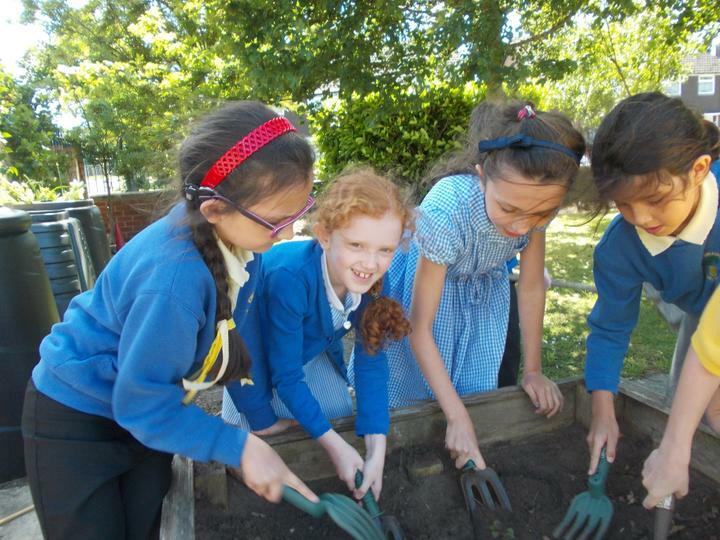 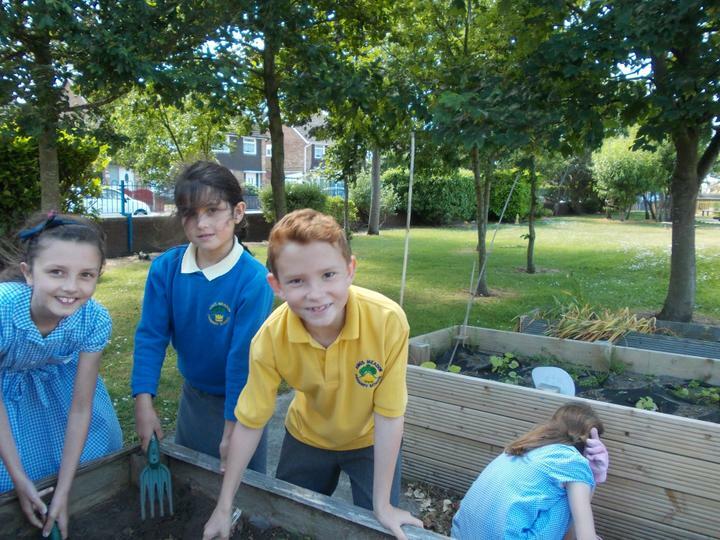 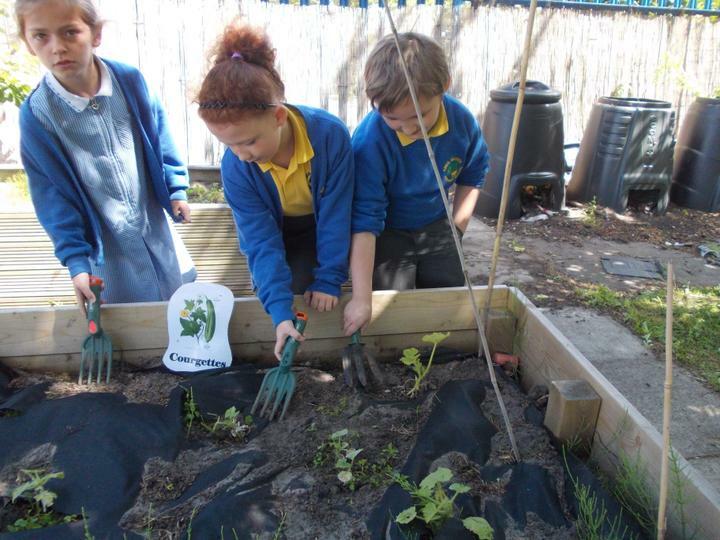 This week, for Get out, go green week, year 3 have been busy sorting out Kings Meadow's vegetable patch. 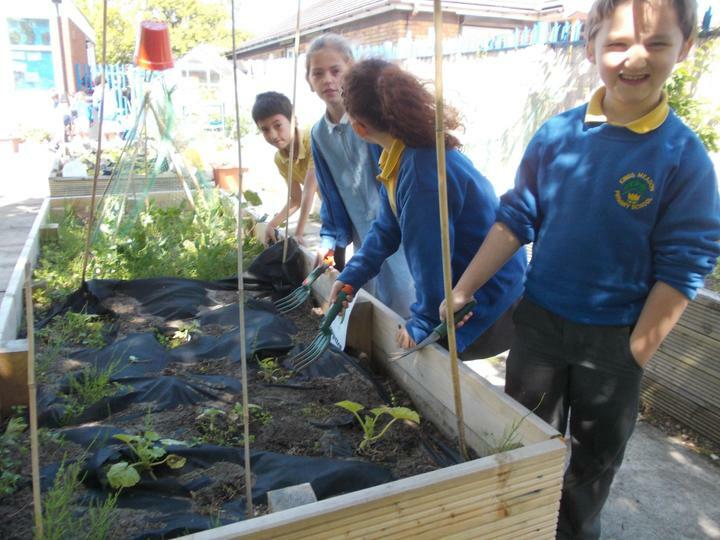 On Monday the children went and weeded all of the vegetable beds. 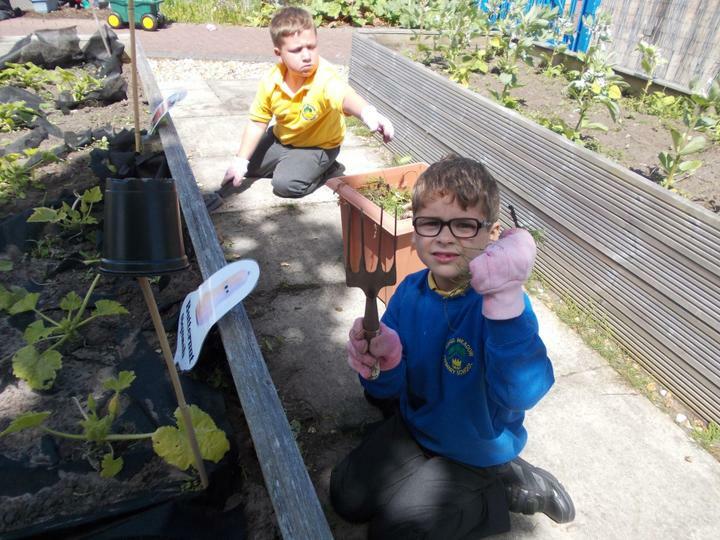 They really enjoyed sorting through the beds looking for all of the weeds. 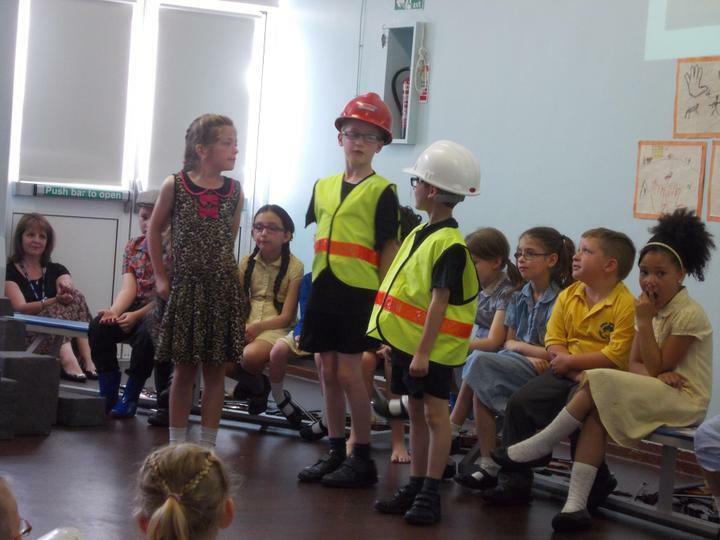 They did a fantastic job too. 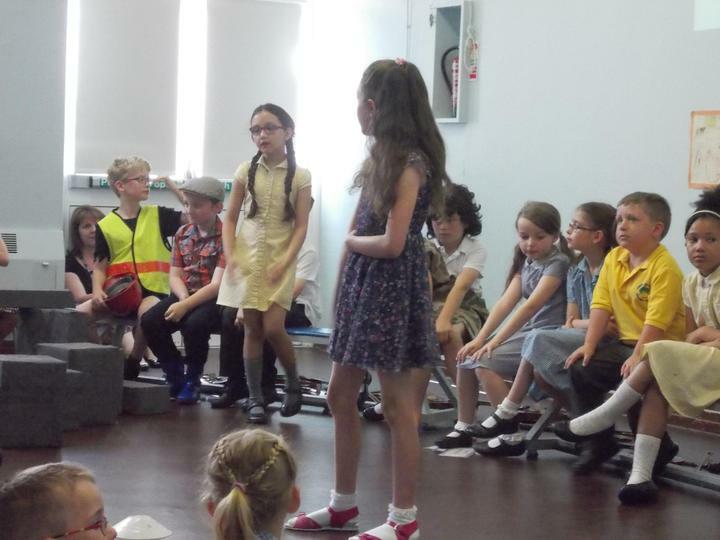 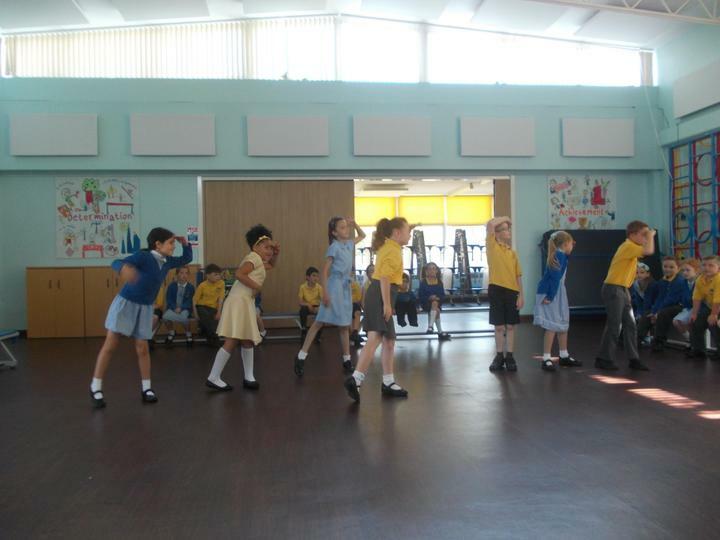 The children had a wonderful fun packed drama day. 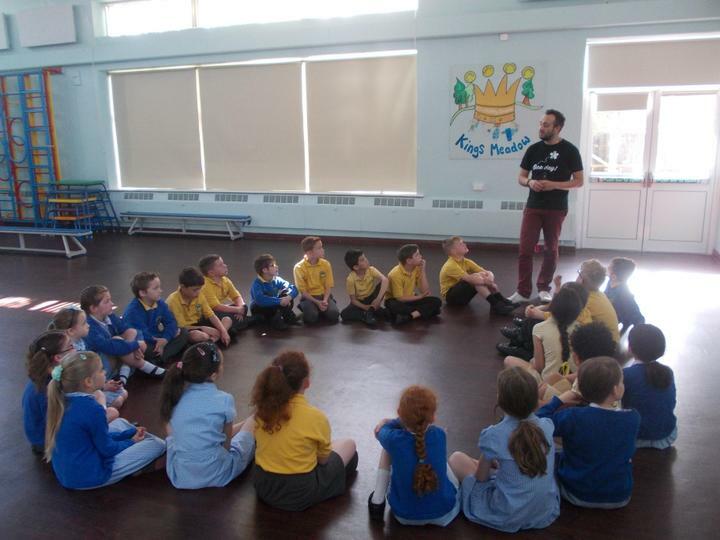 Steve worked his magic and the children learnt lots more information about the Stone Age through to the Iron Age. 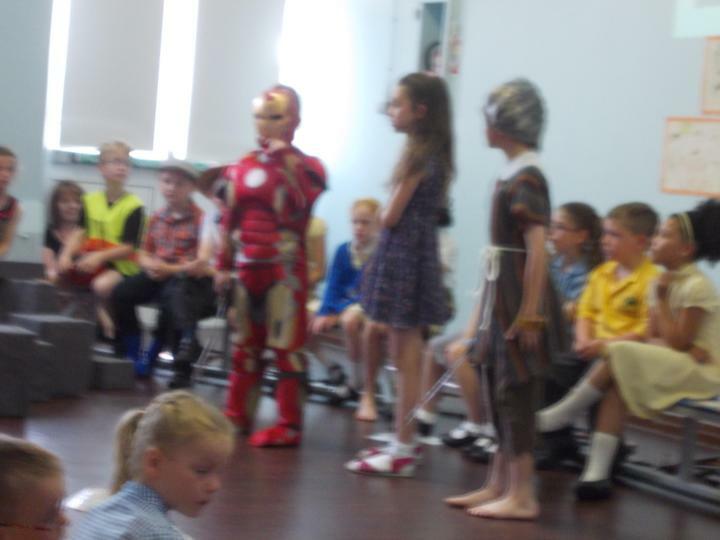 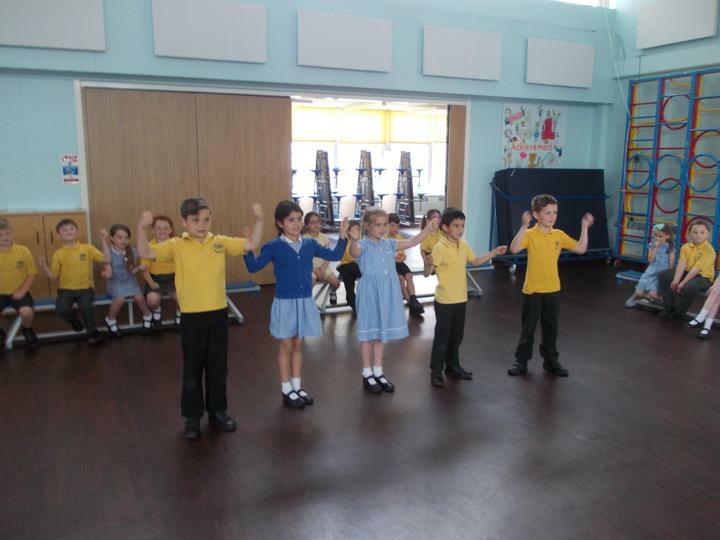 The children really enjoyed performing to their parents at the end of the day. 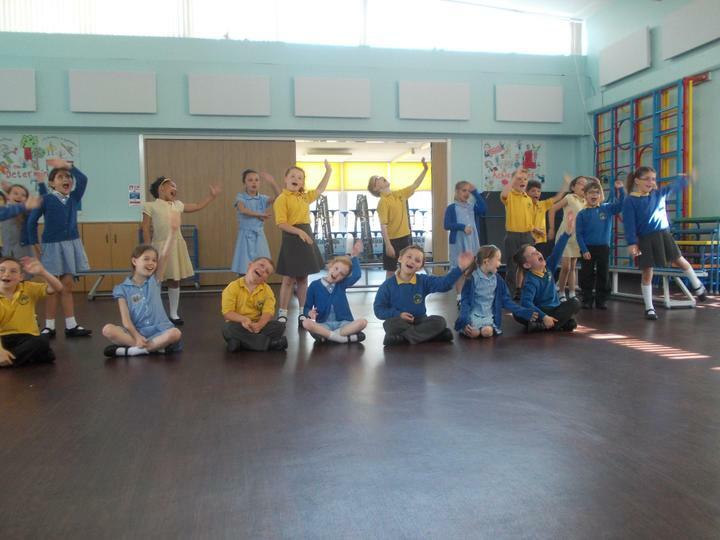 Well done year 3 you all worked brilliantly. 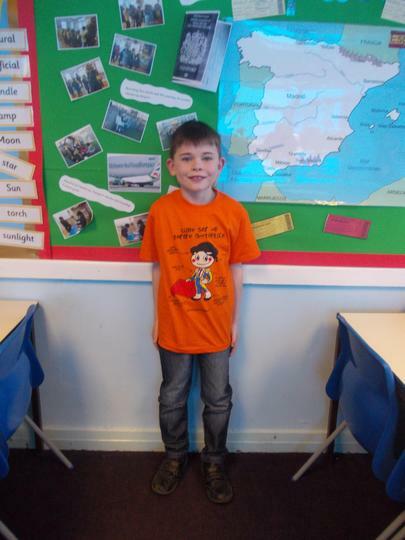 Steve was very impressed with your behaviour and how much you managed to achieve in just one day! 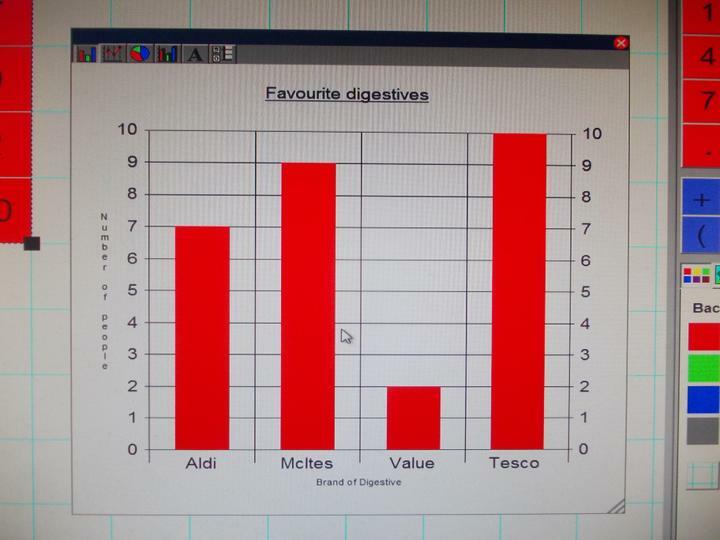 This week we have been investigating which brands we prefer. 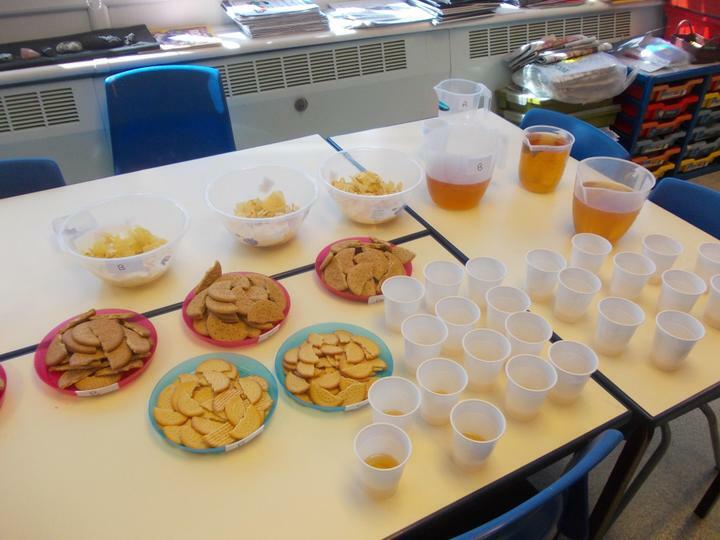 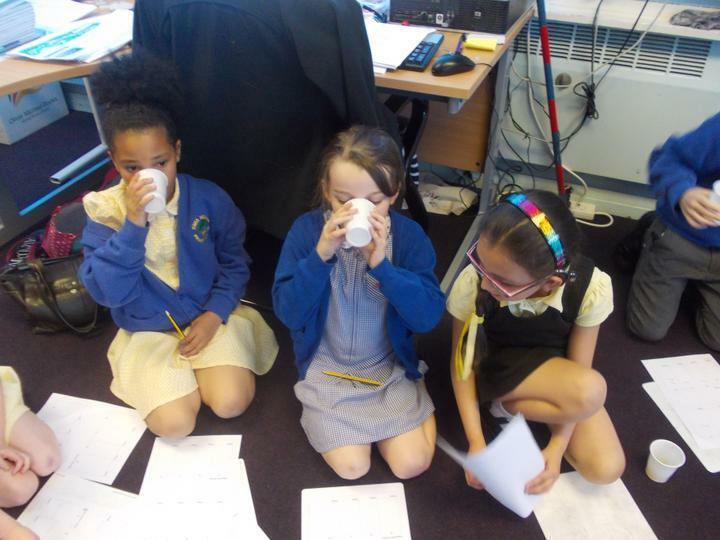 The children tasted cheese thins, digestives, apple juice and ready salted crisps. 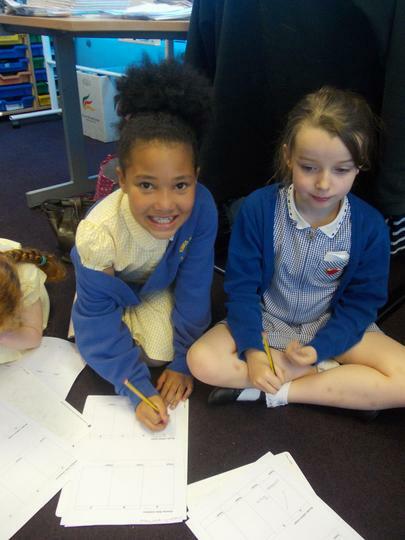 The children recorded their preferences and created tally charts to identify the overall winners in each category. 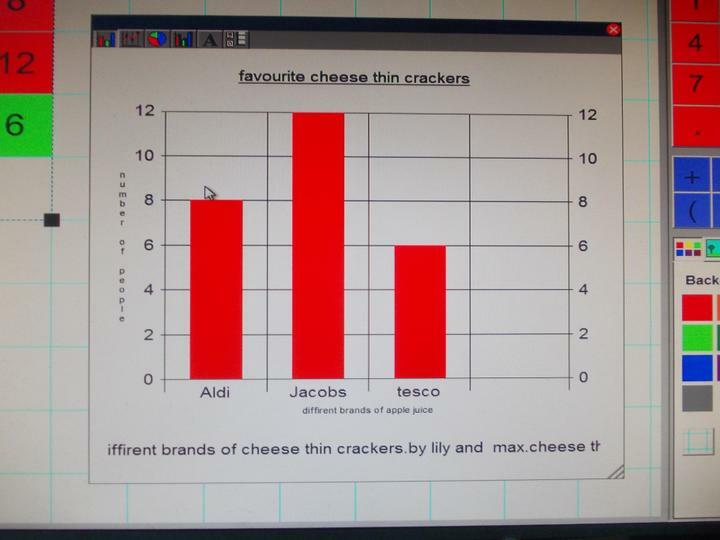 The children then used the information to create bar charts using ICT. 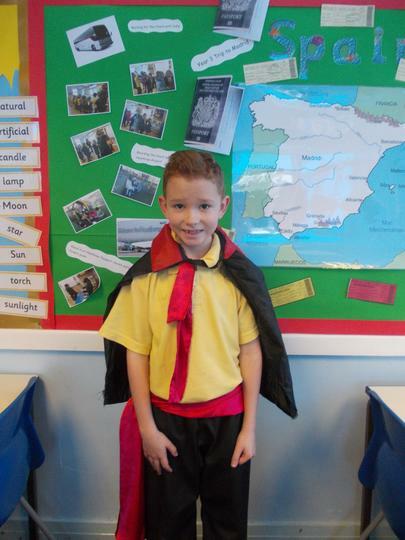 In English we have been learning about Myths. 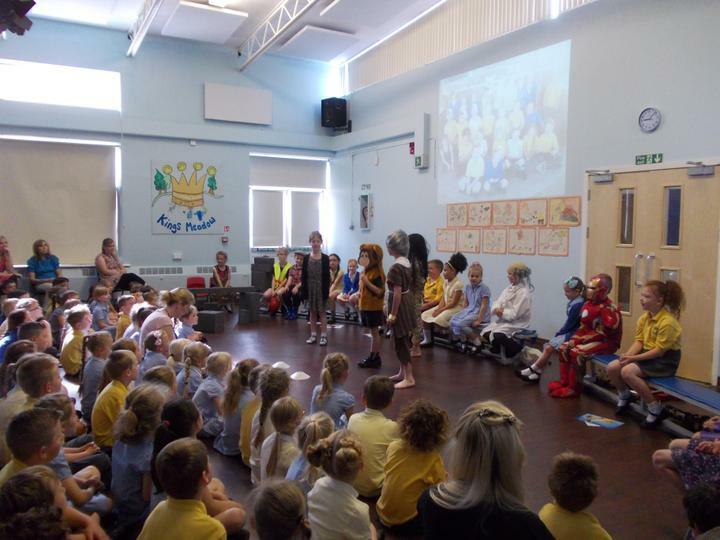 The children have listened and watched some famous Greek Myths. 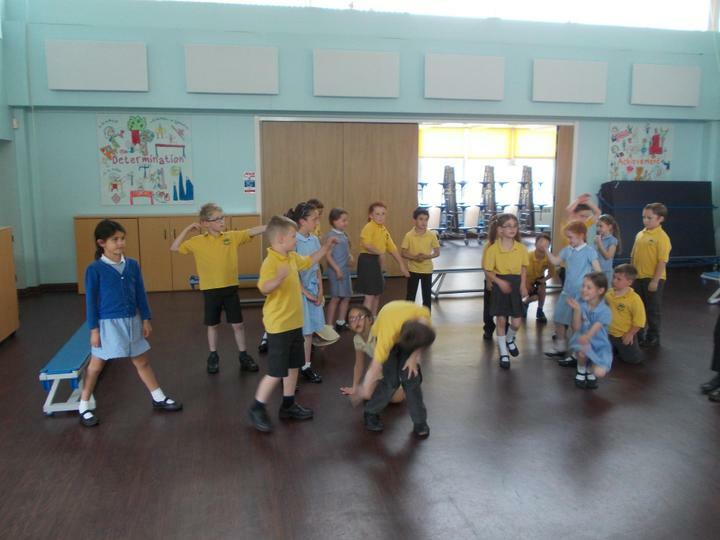 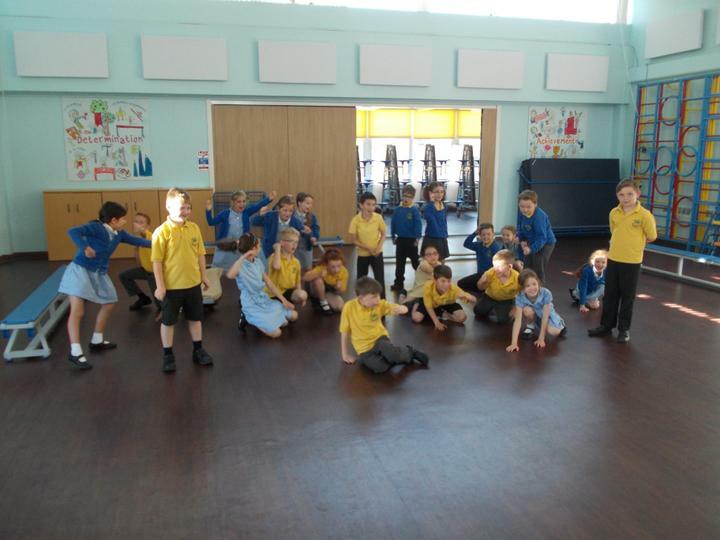 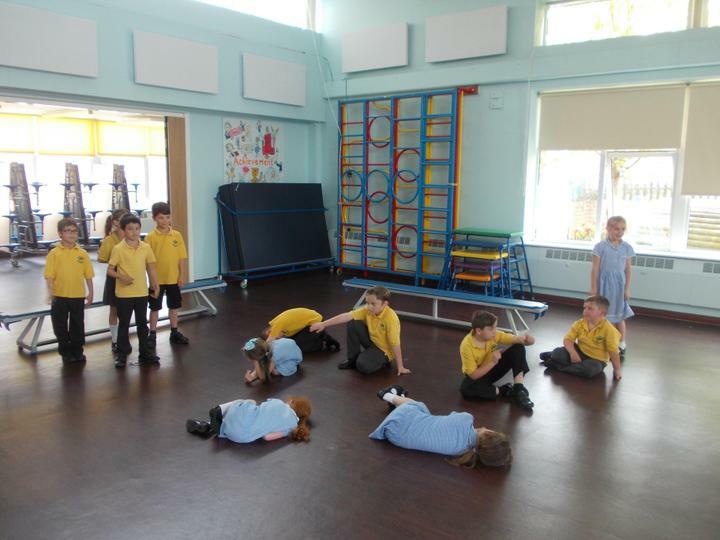 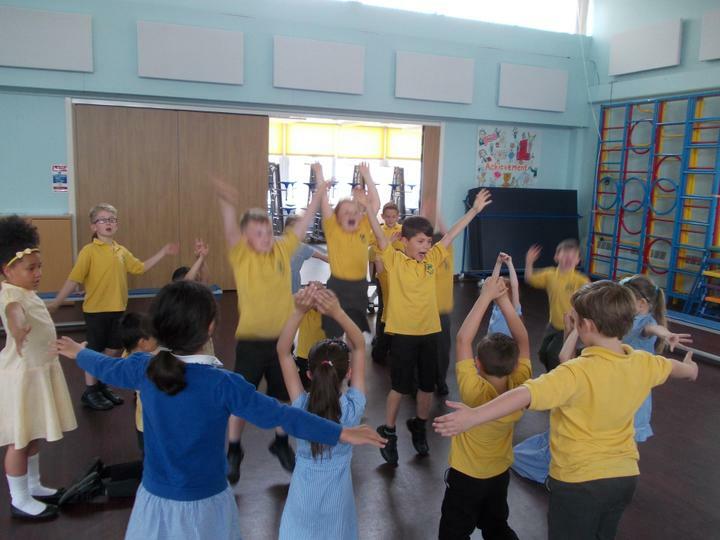 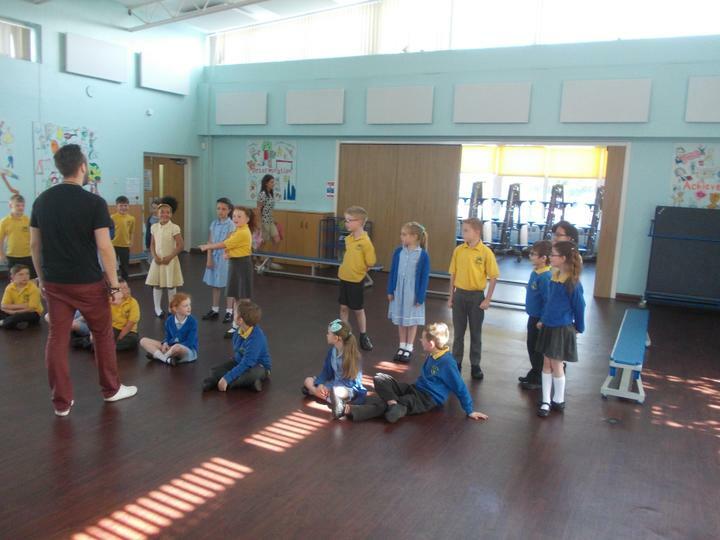 The children worked together in groups to retell the story of Daedalus and Icarus here are some pictures from their performance. 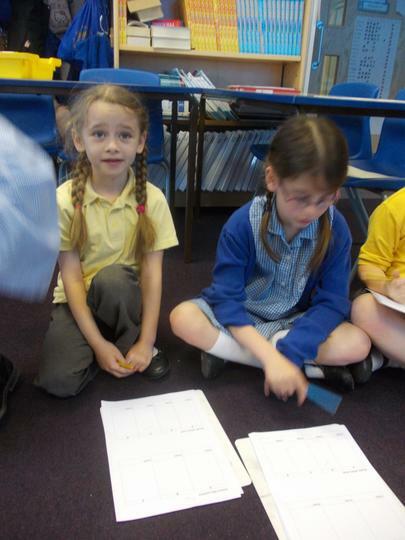 In maths today, some of the children went on a hunt to find as many horizontal and vertical lines as they could. 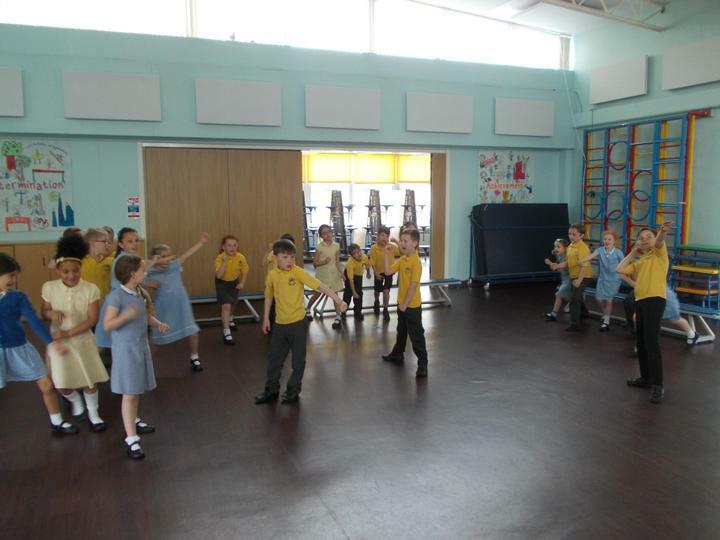 They had great fun finding lots of different lines in the building and outside on the field. 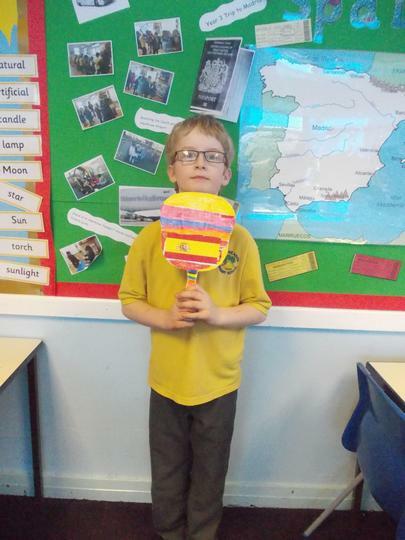 Another group of children used straws to create words or objects which used horizontal, vertical and diagonal lines. 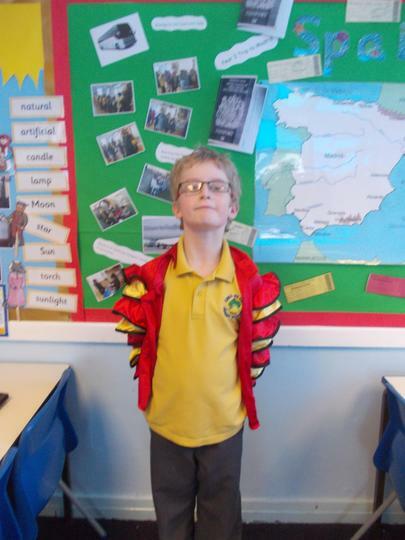 Today Year 3 voted for the bird that they thought should be crowned National Bird of Britain. 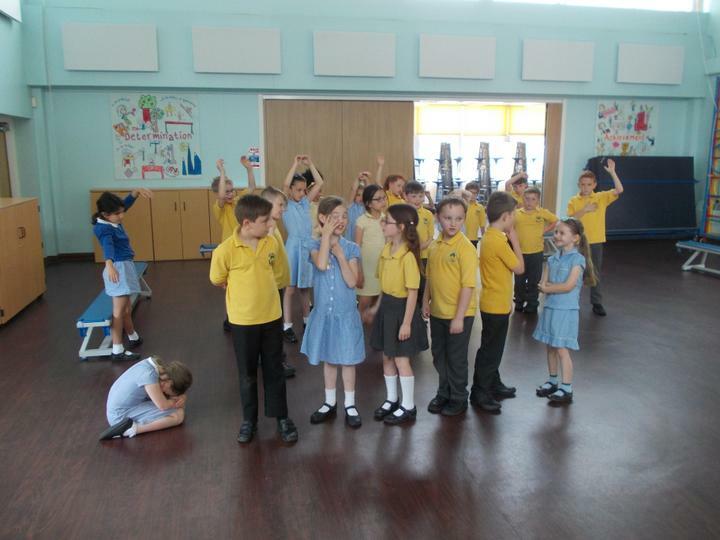 They all entered the polling station and voted in secret before posting their entries into the ballot box. 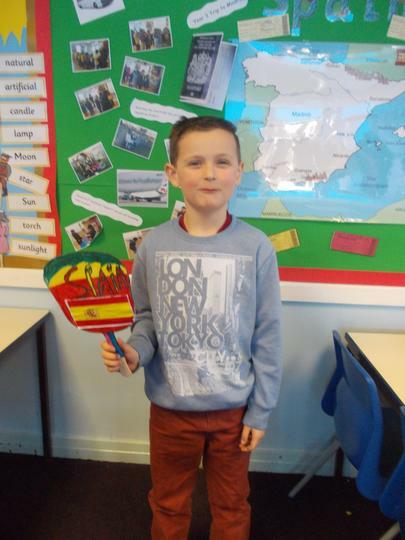 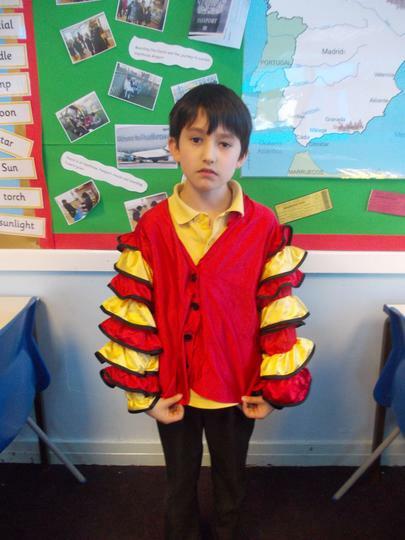 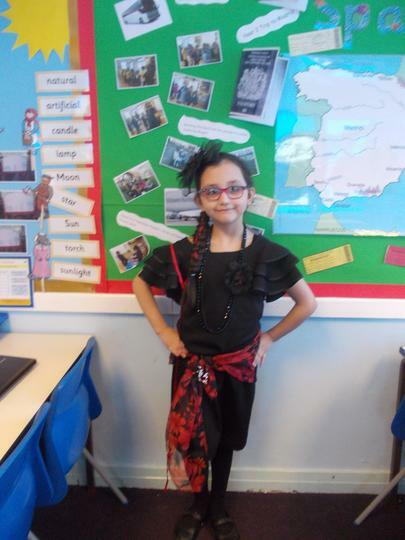 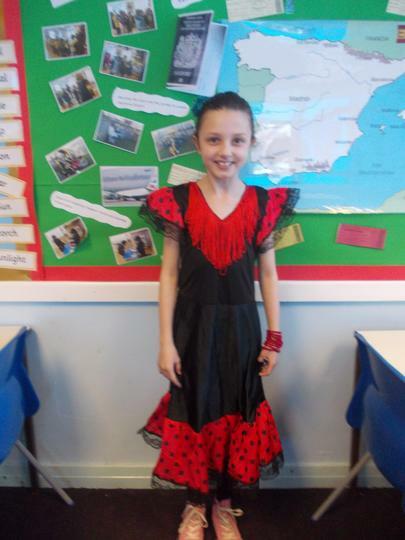 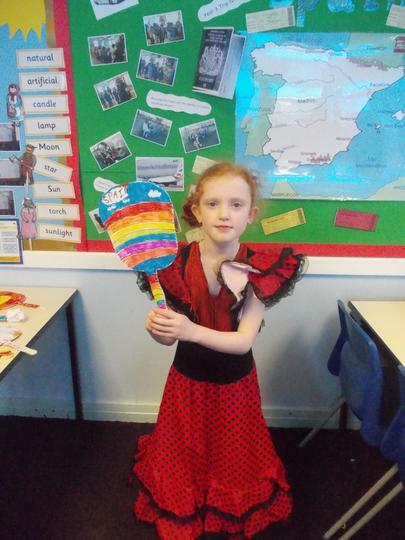 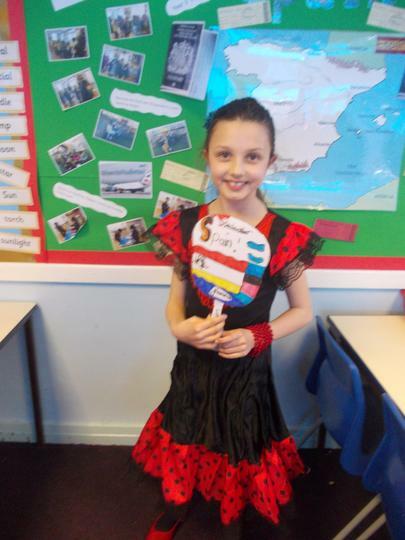 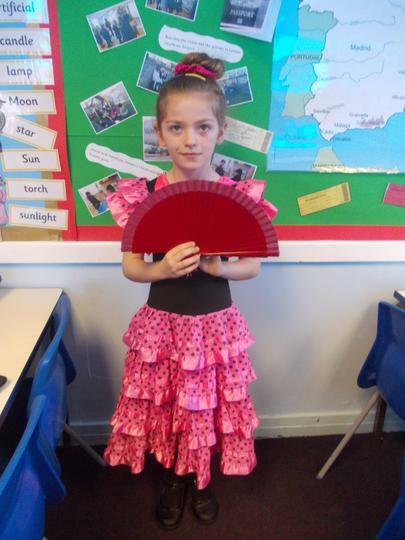 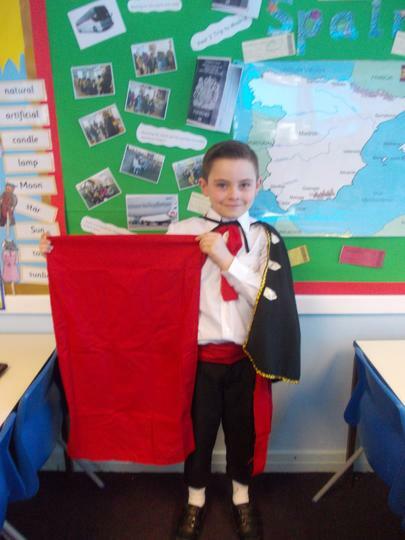 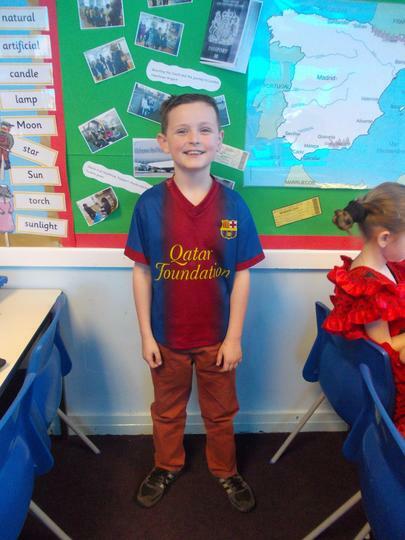 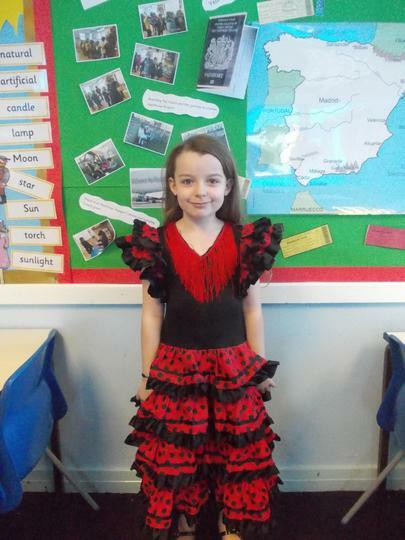 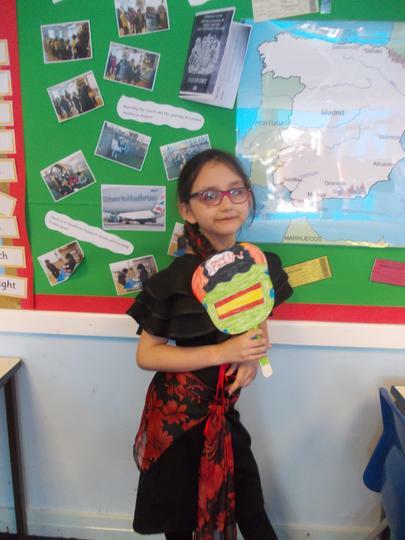 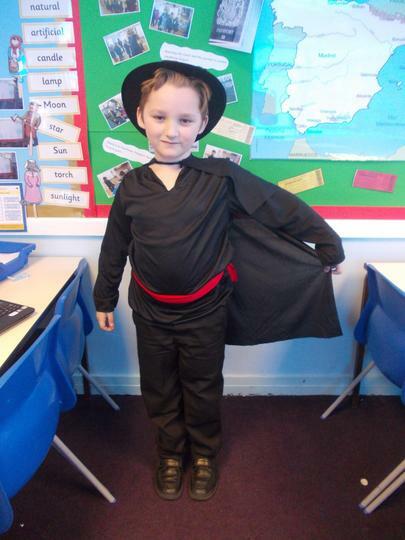 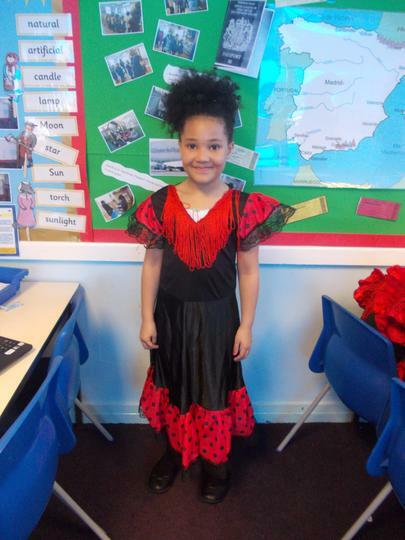 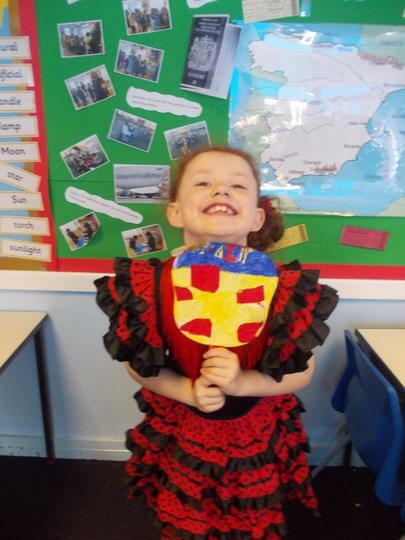 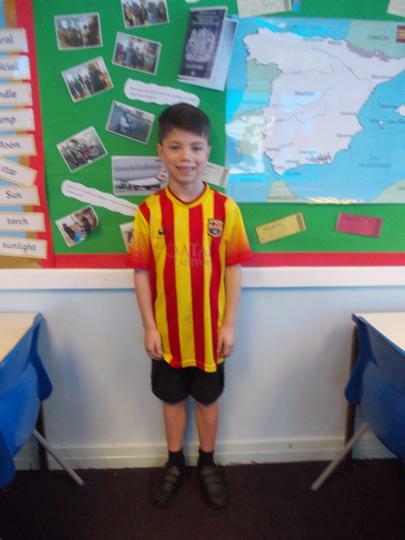 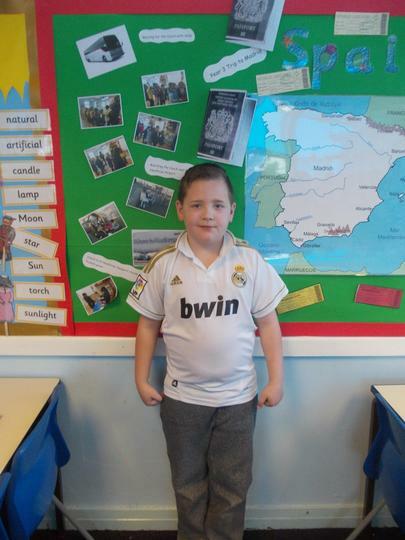 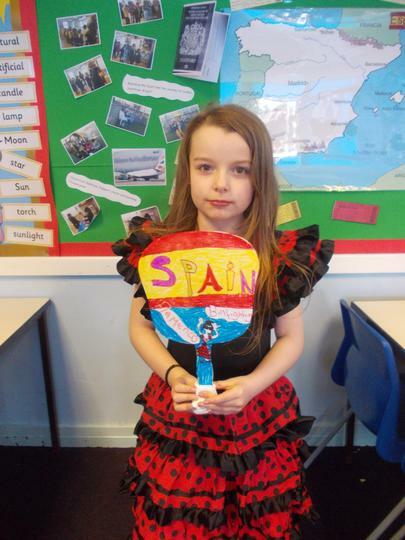 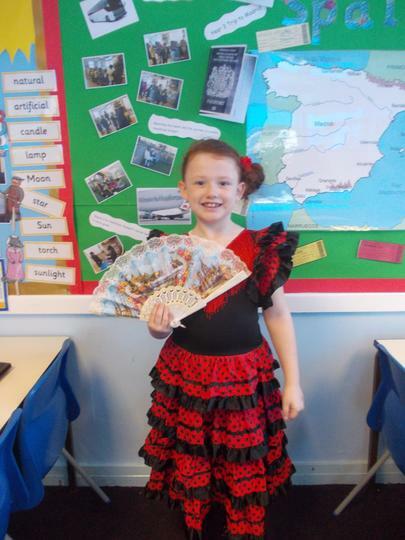 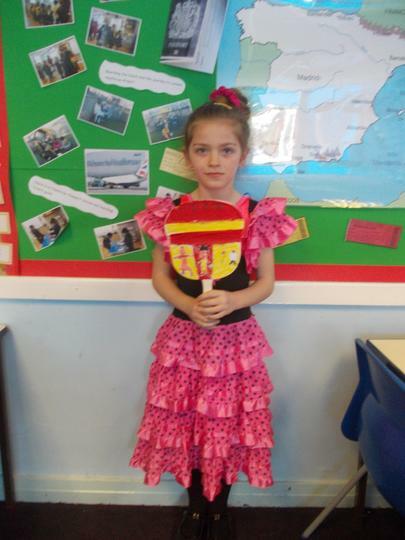 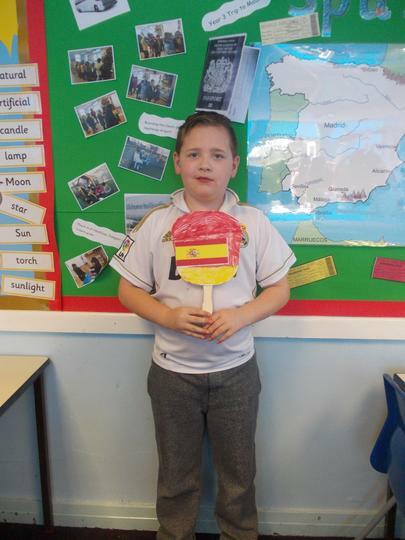 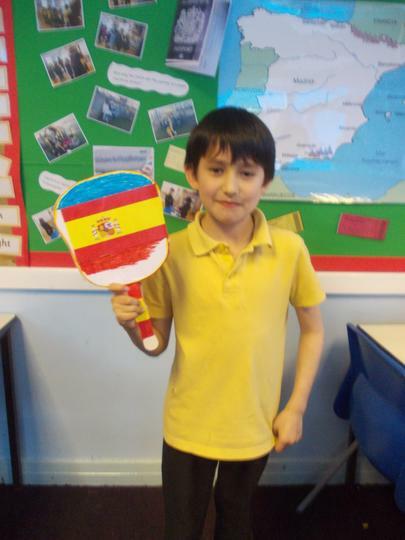 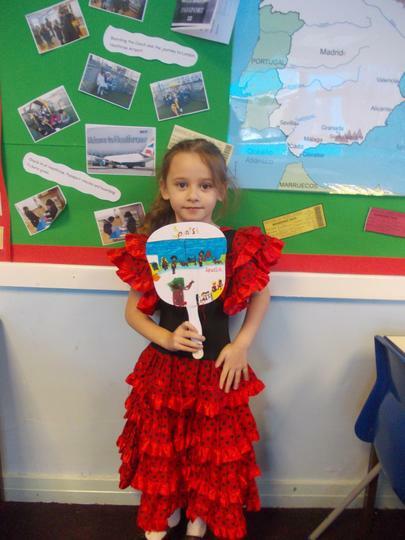 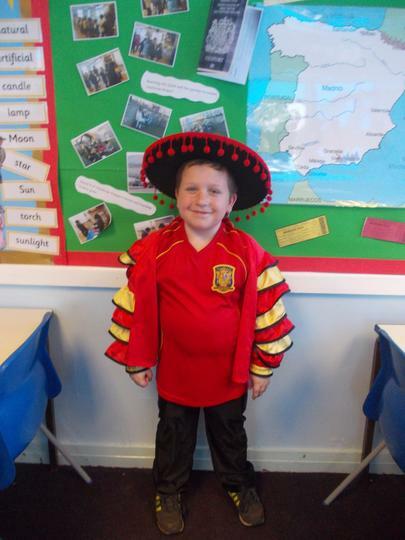 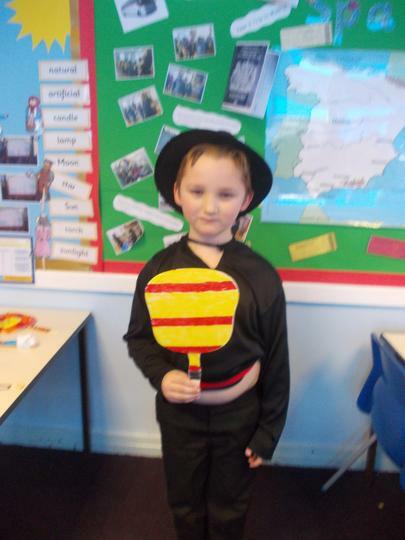 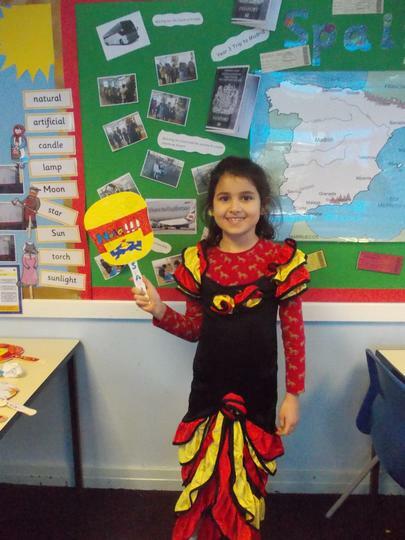 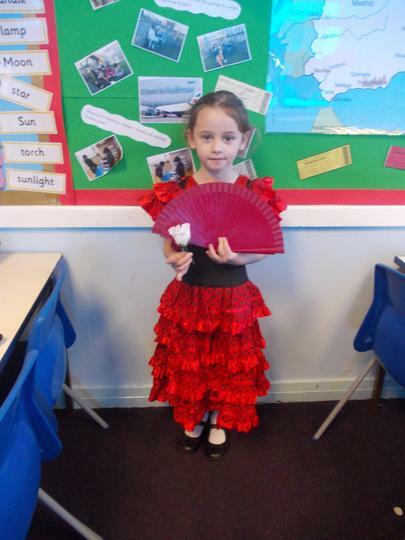 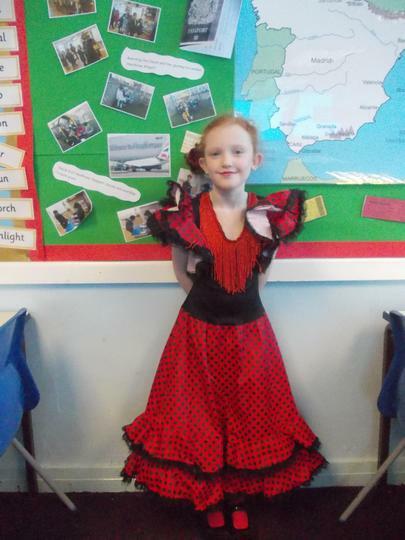 Today the children had a fantastic Spanish day. 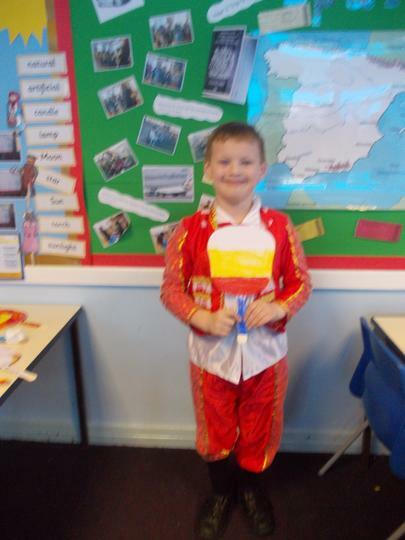 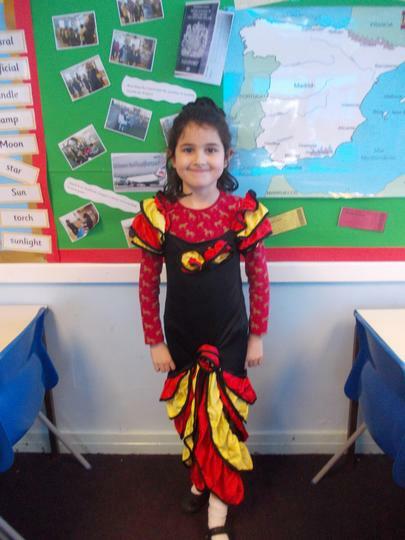 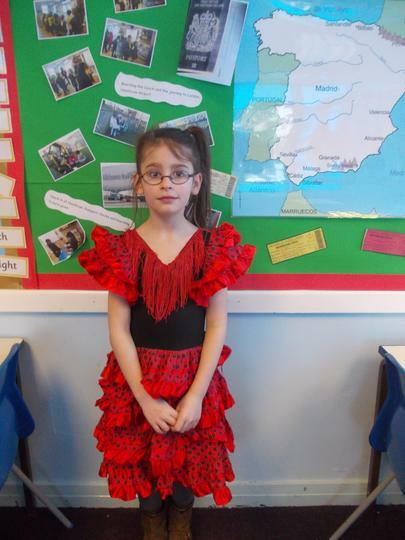 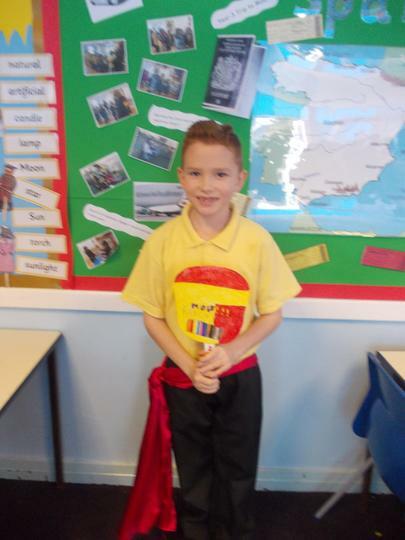 Everyone entered into the spirit of the occasion and dressed up in Spanish outfits. 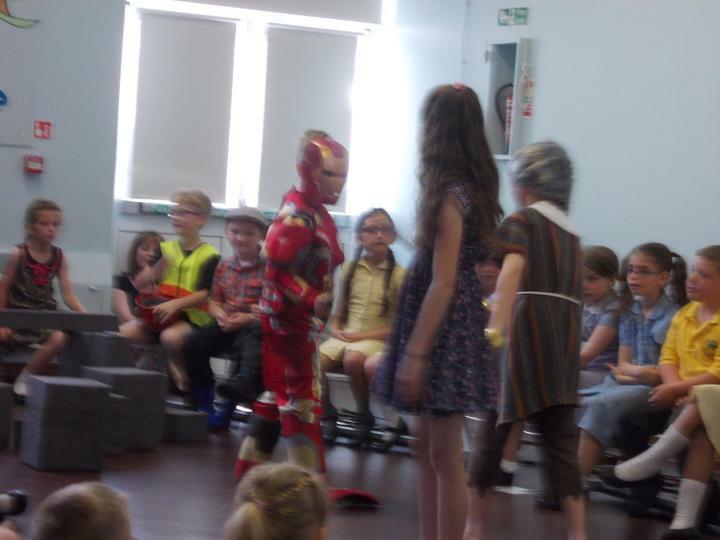 The children had an extremely busy day. 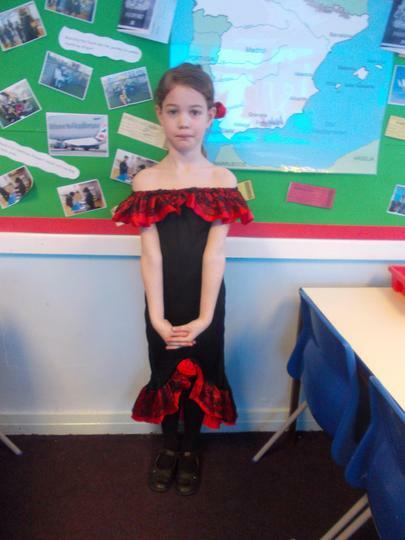 They cooked frittatas, learned to play some Spanish music on their violins and they also performed a Spanish dance. 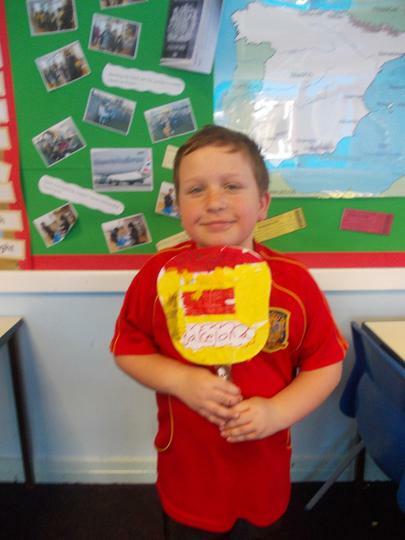 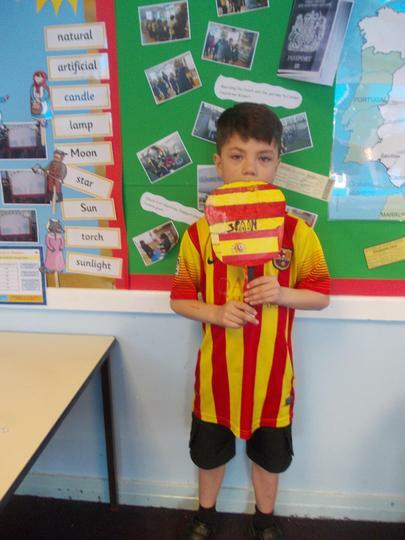 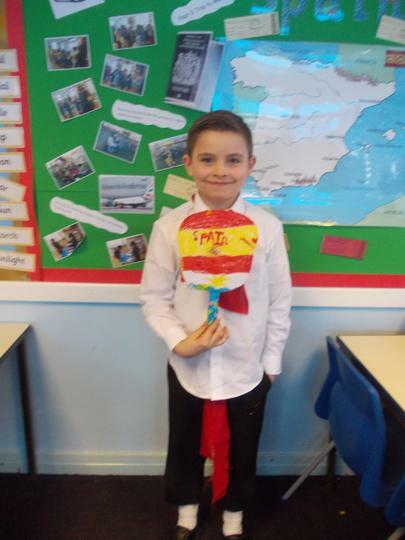 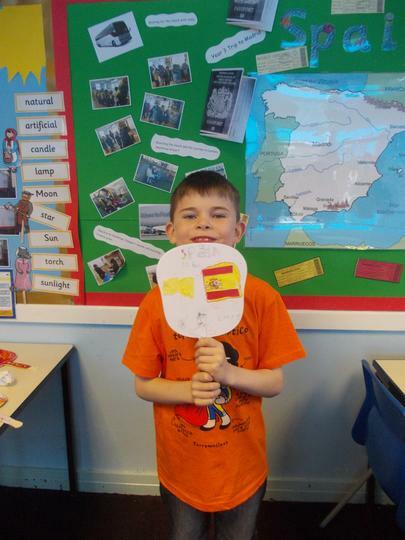 In addition to this the children designed and made their own version of a Spanish fan, they used a computer program to design their own Picasso head and then they ended the day with a scrumptious Spanish feast! 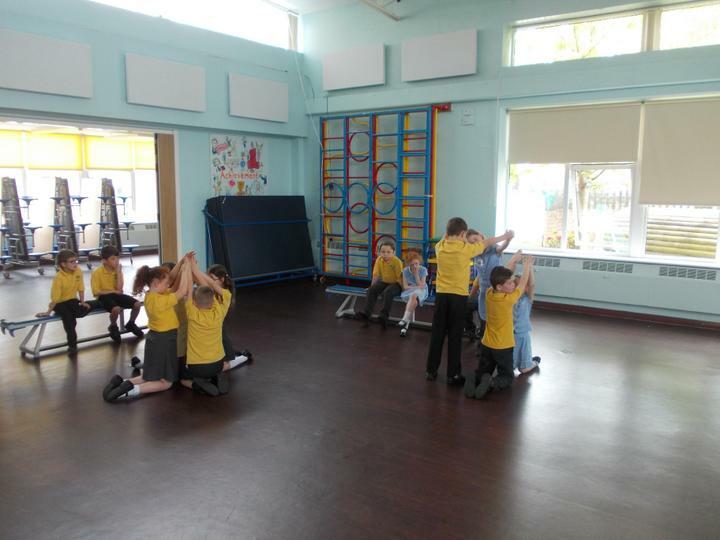 The children enjoyed cycling and scooting to school day. 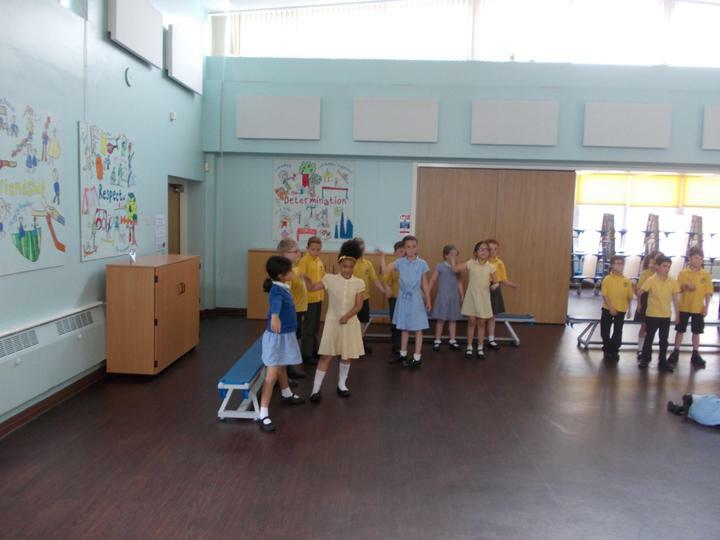 Everyone had a fabulous time completing their activities with Mary on the school playground. 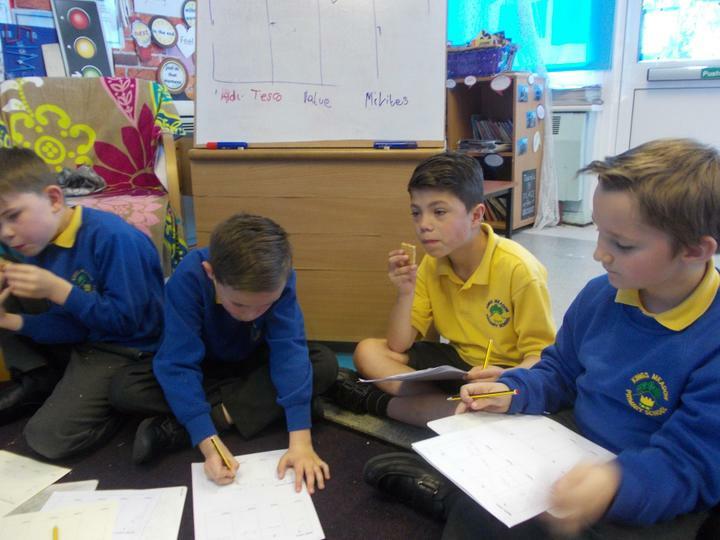 As today was No Pens Wednesday we decided that it was the ideal opportunity to apply our knowledge of fractions to different types of games. 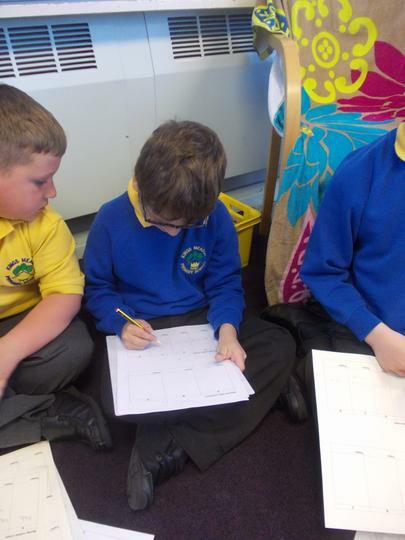 The children had to match fractions to the corresponding diagrams, they also had to find fractions which they could add together to make 1 whole, in addition they had to find fractions of amounts in a loop game. 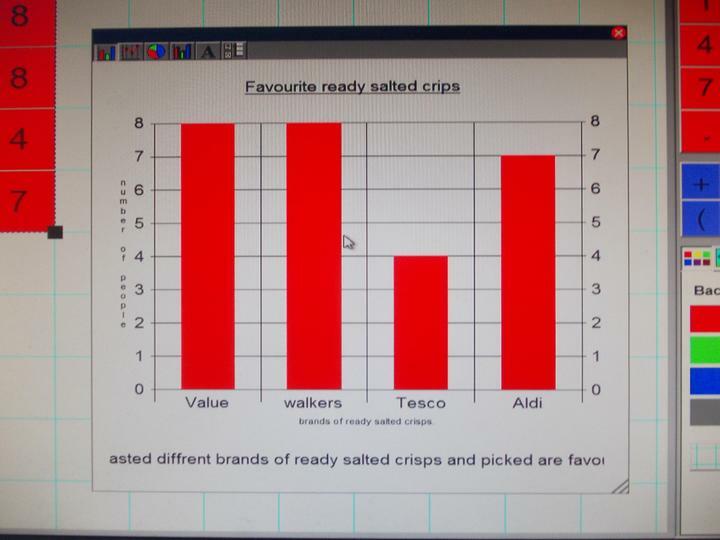 A very productive maths lesson. 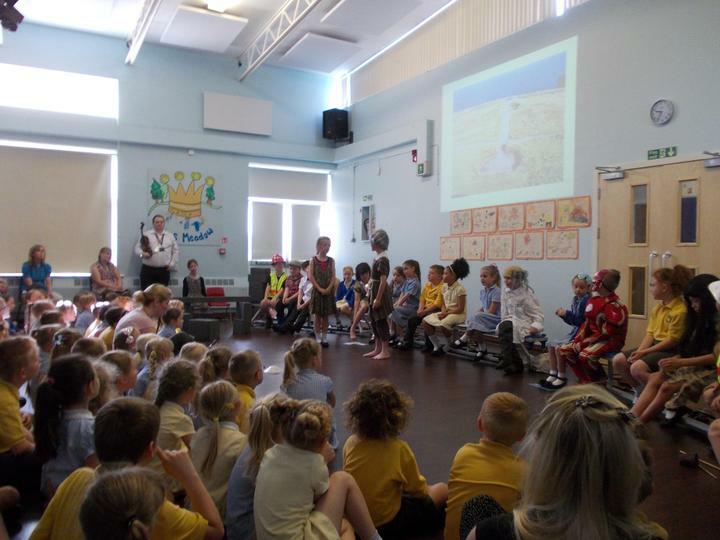 Following Year 1 and 4's recent trip to Blackpool Zoo, we decided to talk about whether animals should be kept in a zoo or should they just be kept in their natural habitat? 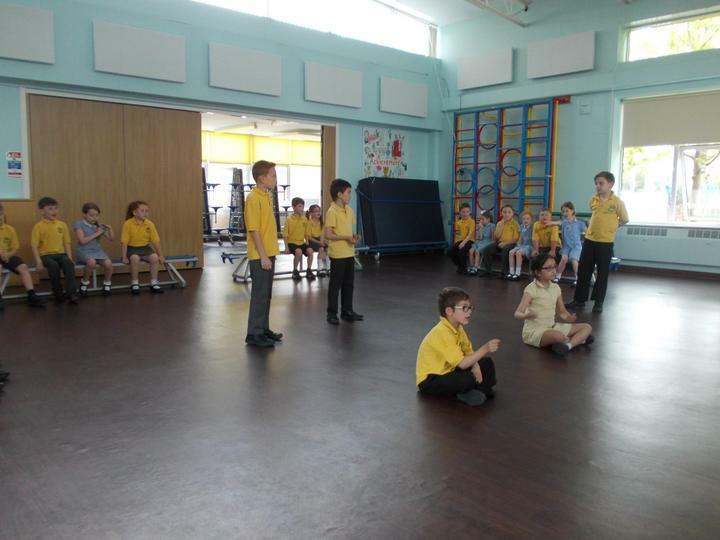 The children worked in groups to decide which of the points, that they had been given, were for and against animals being kept in a zoo. 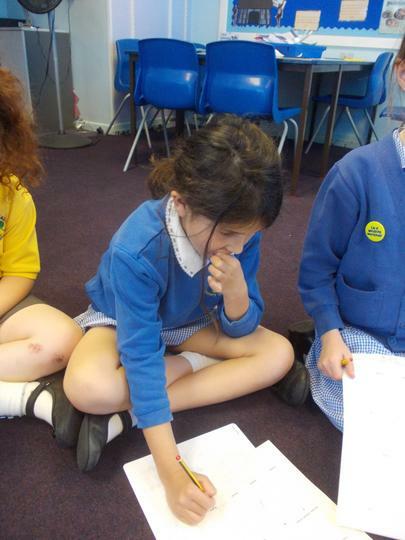 The children discussed each of these points within their group and shared their ideas. 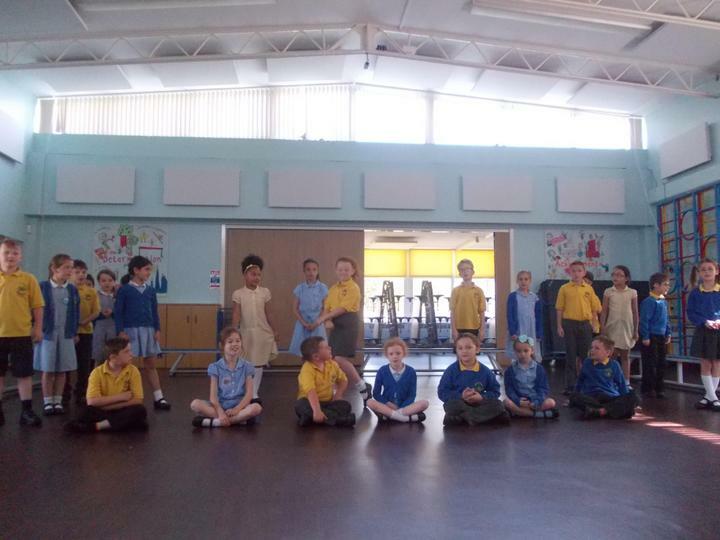 Two groups were asked to debate against animals being kept in a zoo and two groups were asked to debate for. 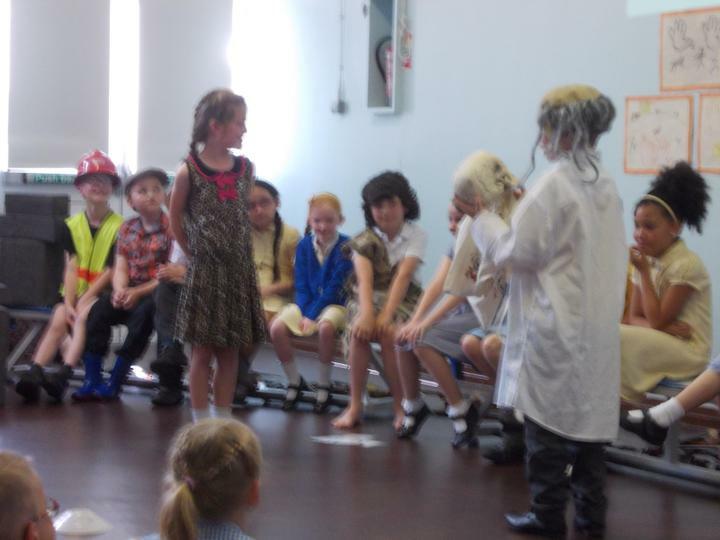 The children came up with some valid points of their own and presented them clearly to the opposing group. 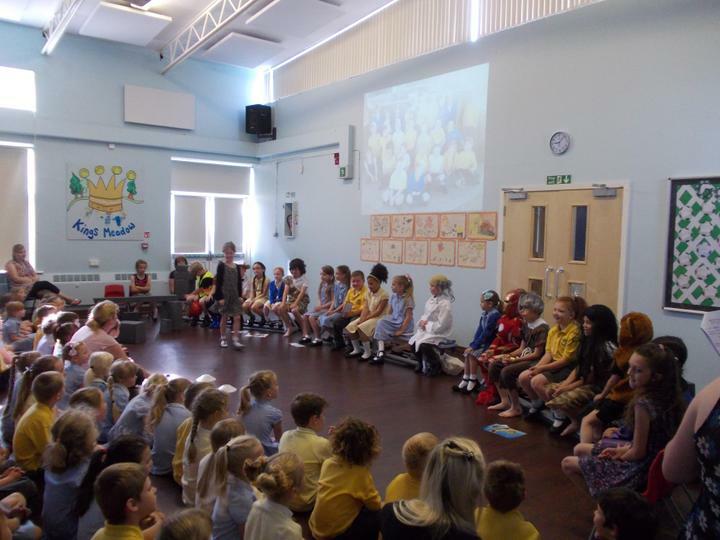 Great debating Year 3! 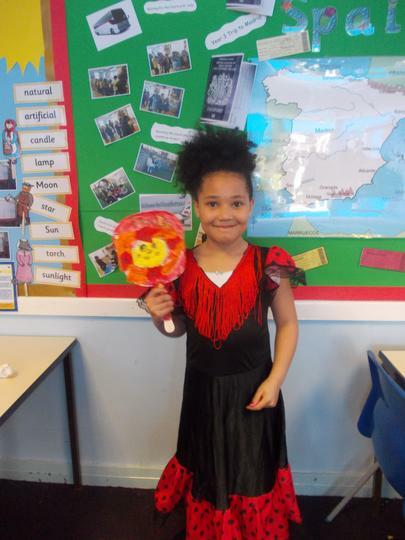 Year 3 would like to wish their mums a very happy Mother's day. 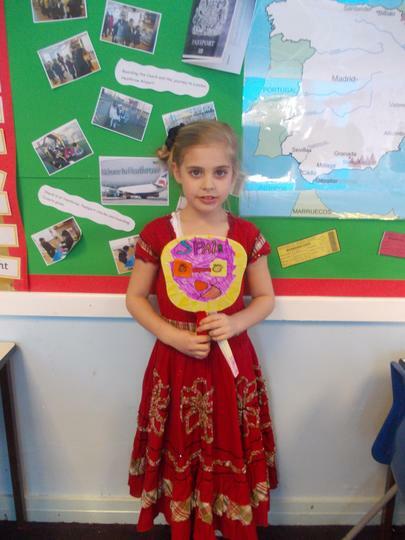 They have worked really hard to create a poem all about you and in addition they made you a flower to keep. 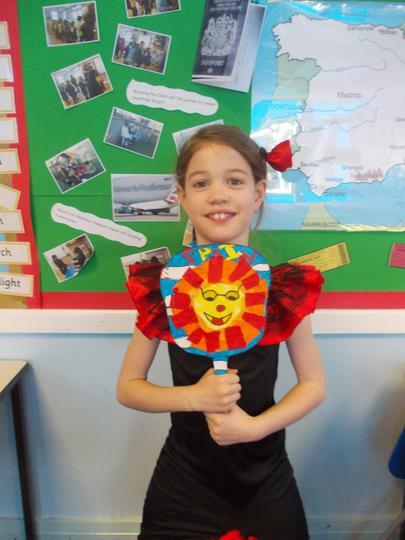 We all hope you like them and you have a lovely day on Sunday. 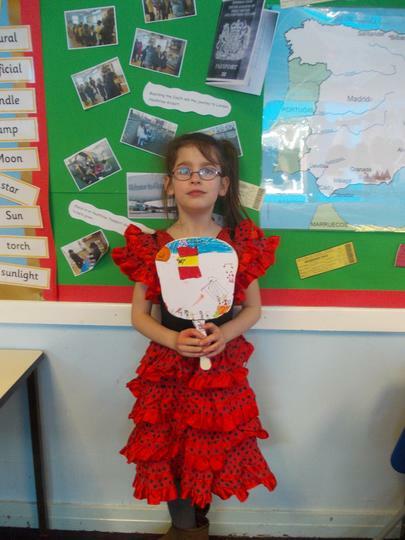 I would just like to say how lovely they all looked today dressed in red for Comic Relief and thank you for your donations. 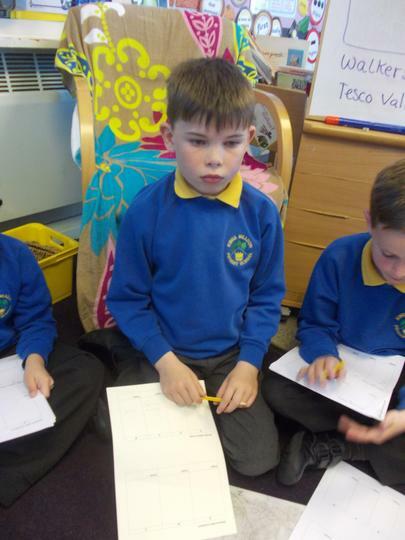 In maths this week we have been looking at measuring in cm, mm and meters. 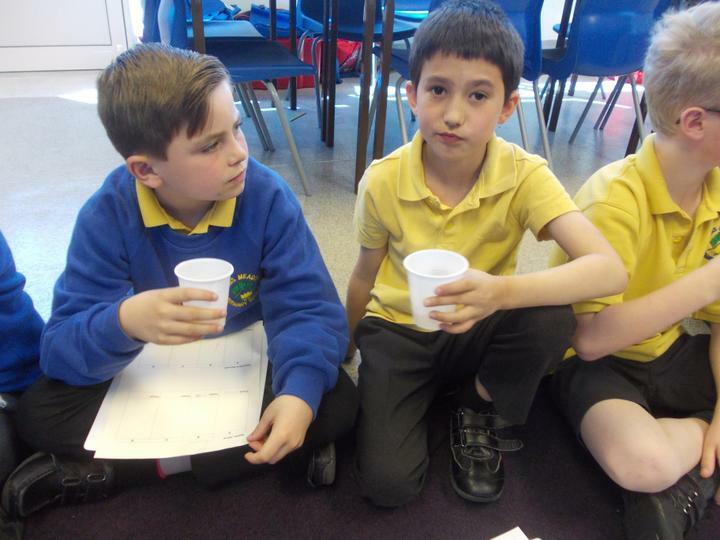 The children had great fun measuring different parts of their bodies. 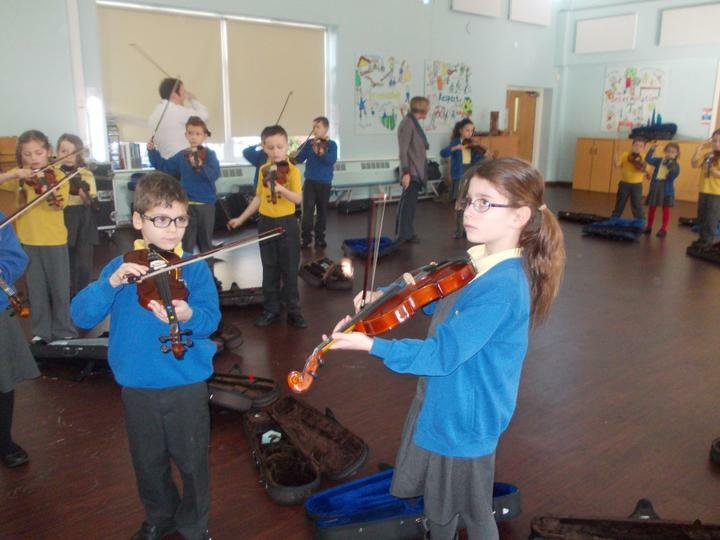 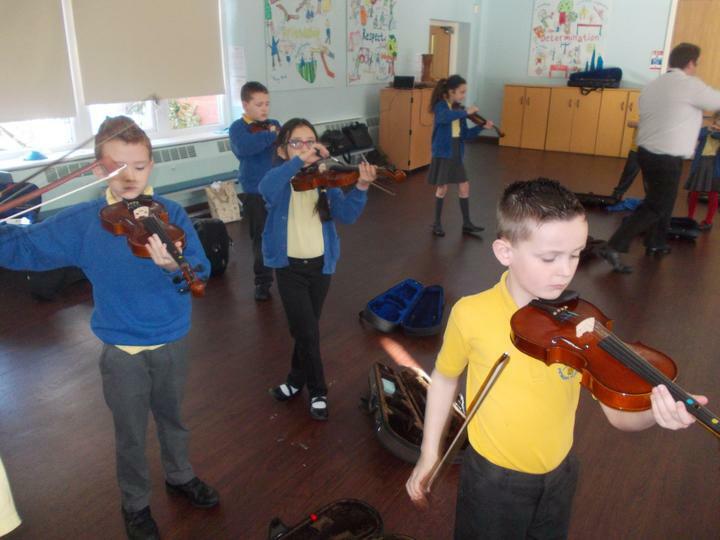 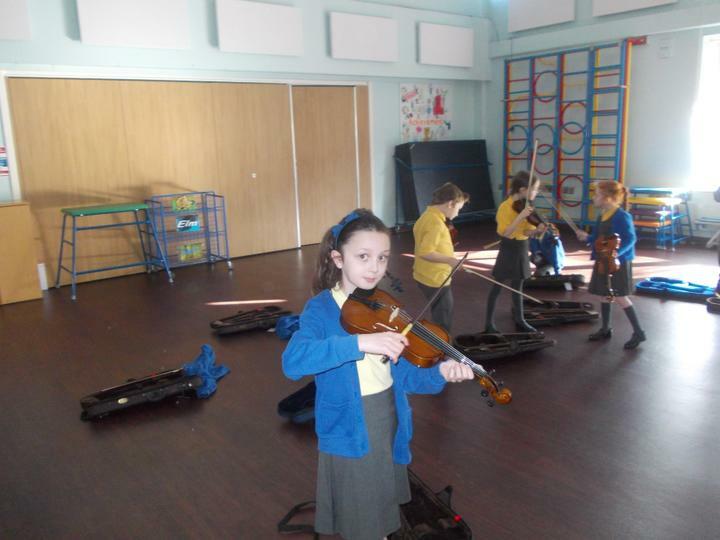 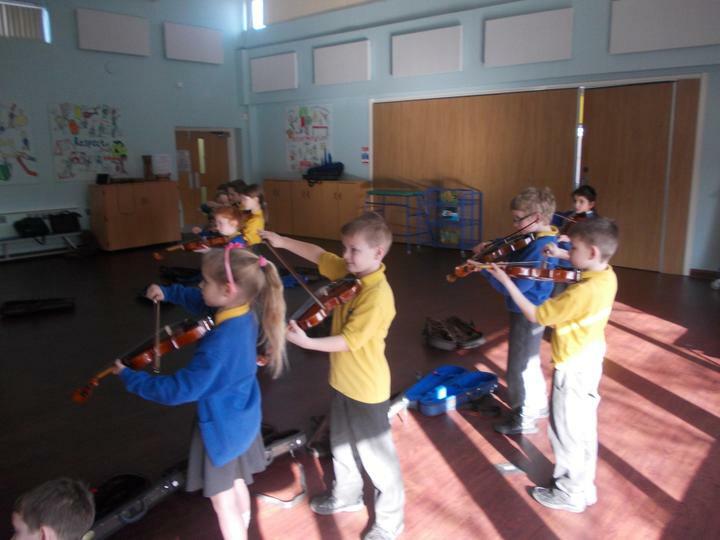 The children have been working extremely hard in their violin lessons. 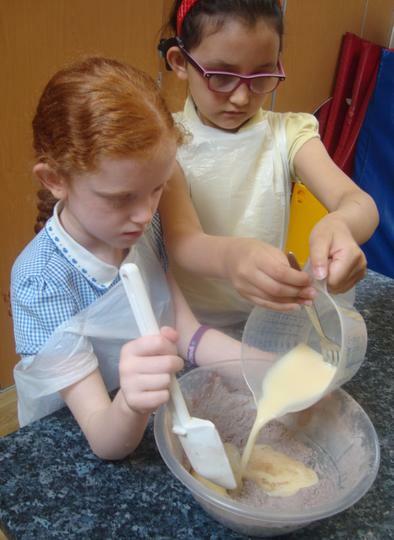 They are having so much fun and they are making brilliant progress. 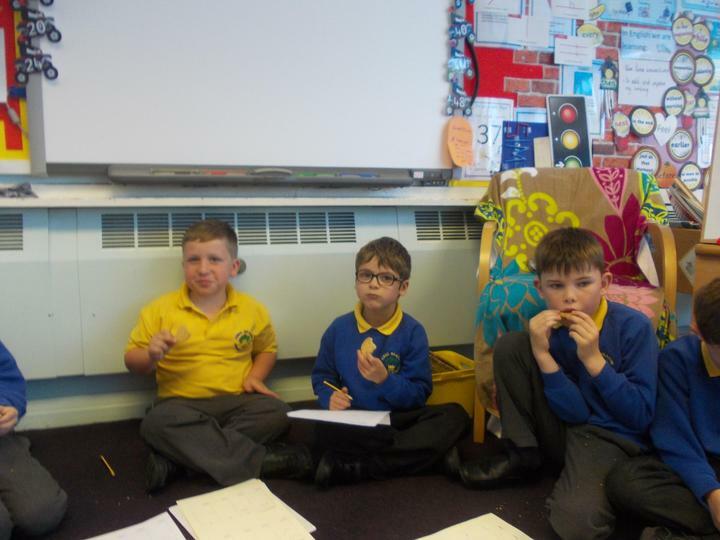 The children worked in small groups to retell the story of Little Red Riding Hood as part of our Fairy-tale theme for World Book Day. 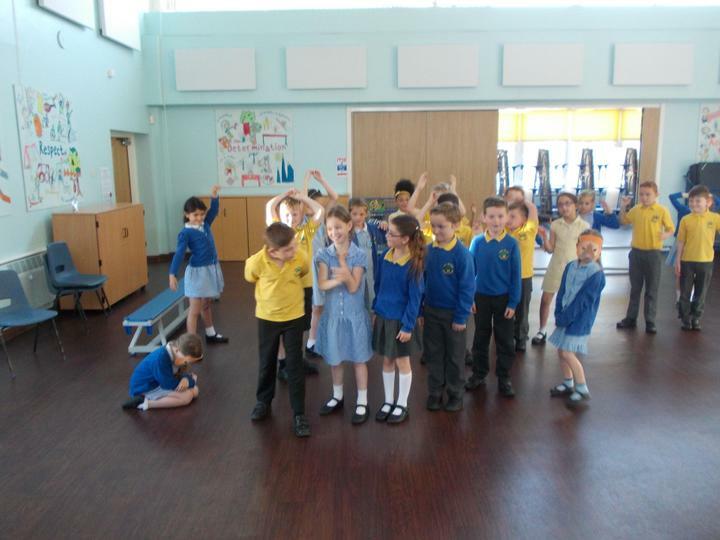 The children worked exceptionally hard to learn their lines and present their retelling as part of a shadow puppet theatre. 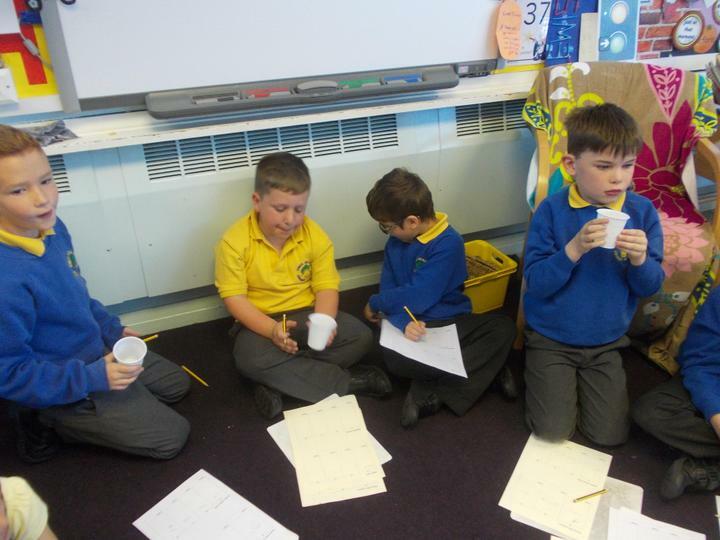 This also links in with our science topic at the moment which is light. 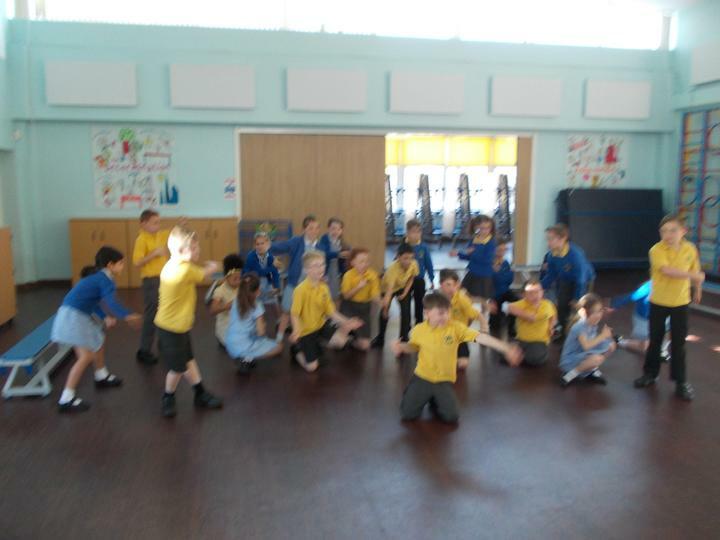 The children have been looking at shadows and how they are formed. 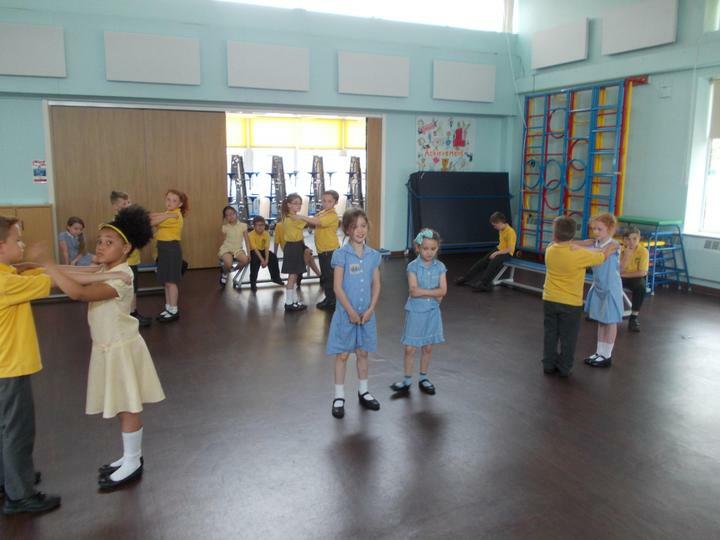 The children went outside to investigate shadows and how they are formed. 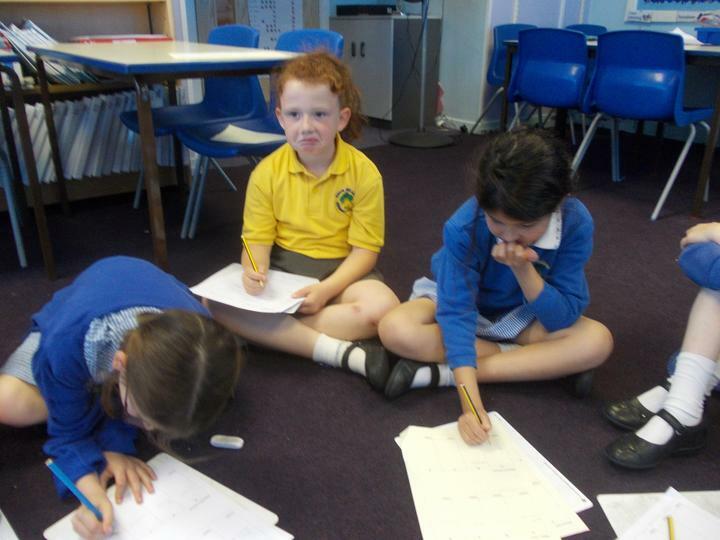 The really enjoyed exploring the different shadows they found. 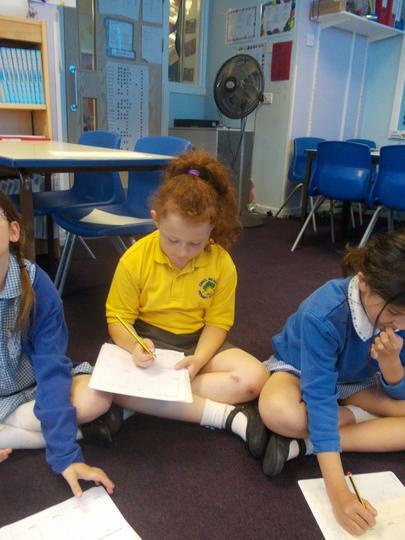 Year 3 have been learning poetry this week. 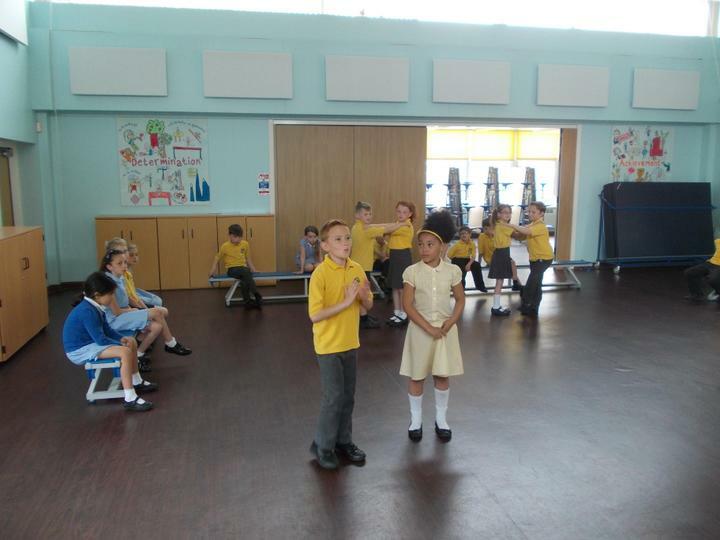 As part of their work they had to work together as a group and recite a piece of poetry. 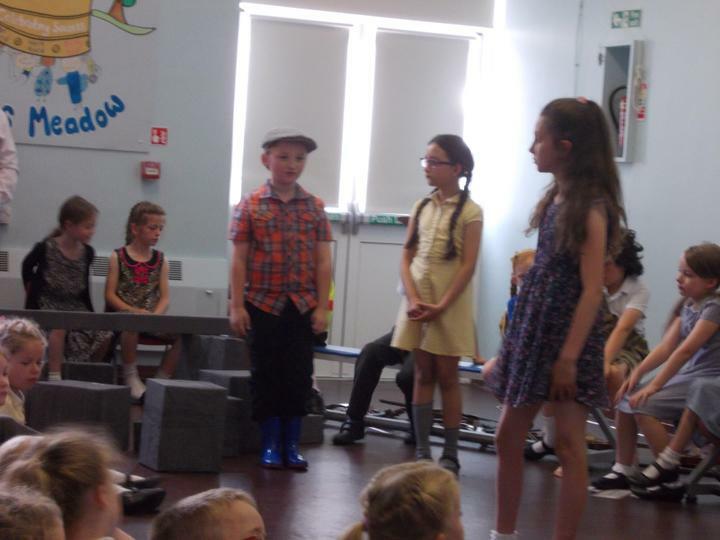 The poem was all about teachers! 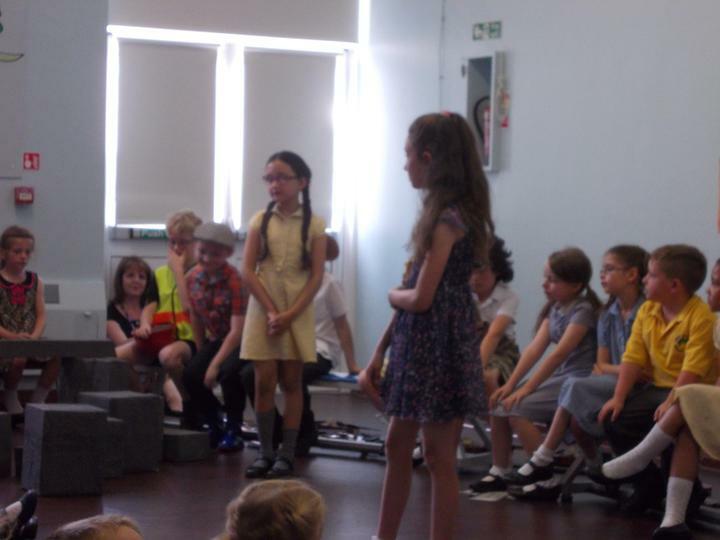 The children worked really hard and they all came up with some fantastic actions to bring their poem to life. 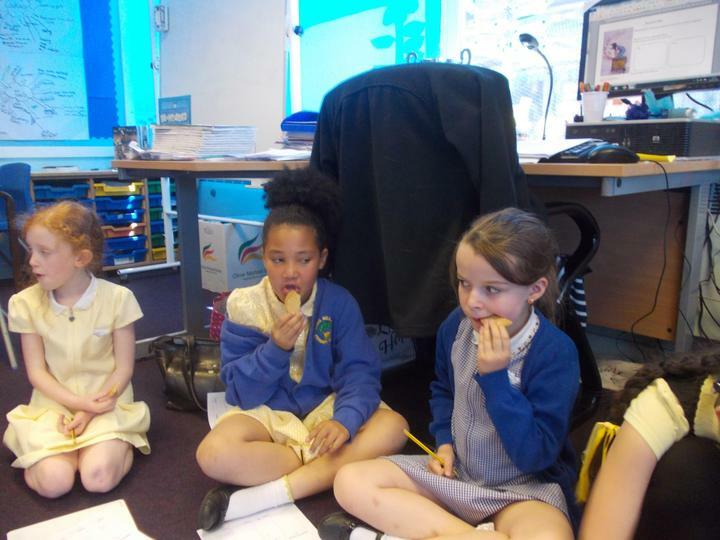 We all enjoyed listening to some fabulous stories this week. 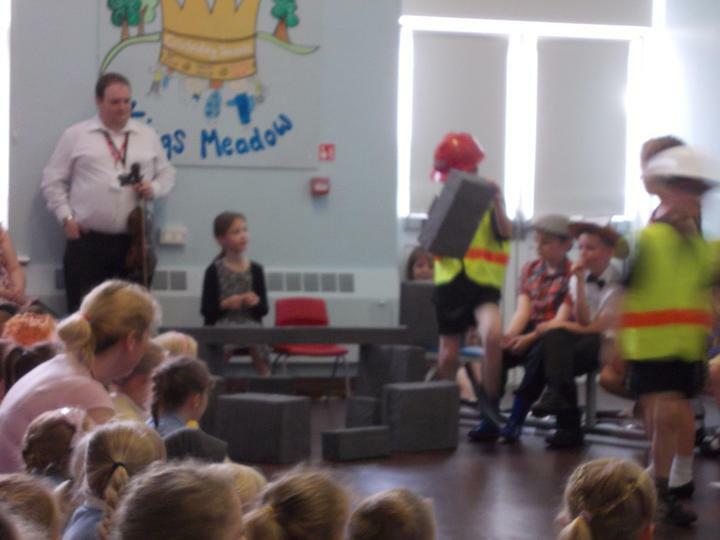 Our week started by listening to an alternative version of The Little Pigs which we all really enjoyed. 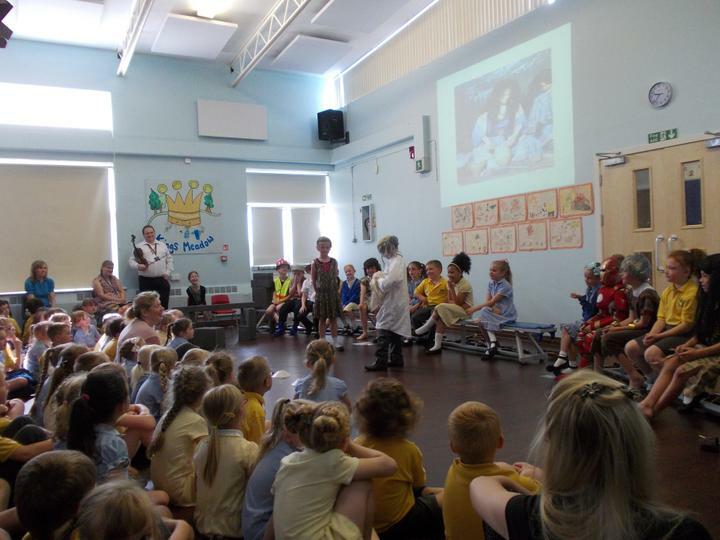 We were very fortunate to have two mums visit us and share some stories with us. 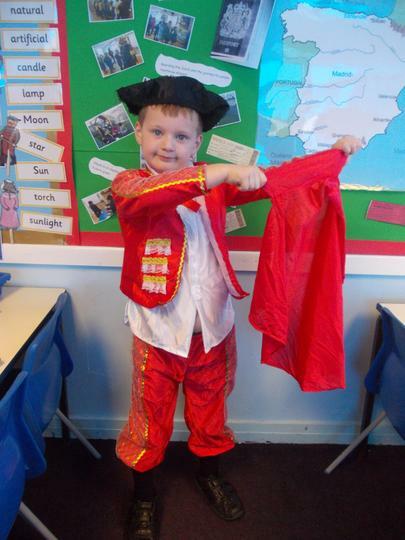 We really enjoyed listening to these stories and using the props which you shared with us. 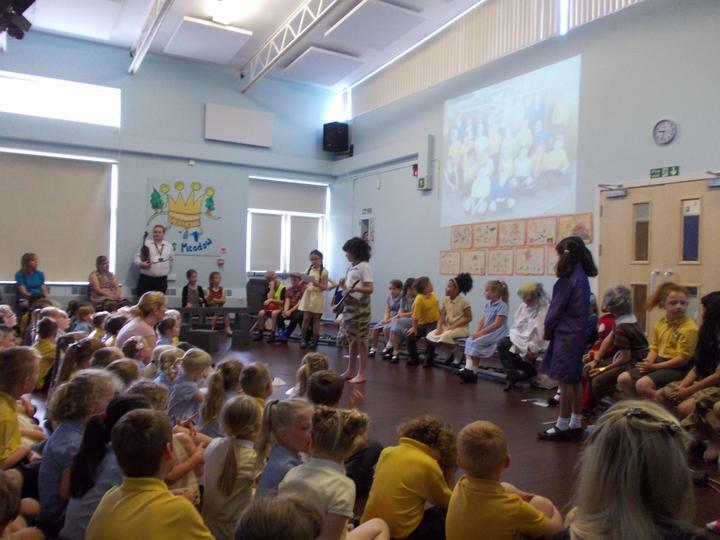 Thank you very much Mrs Pilkington and Mrs Snowdon. 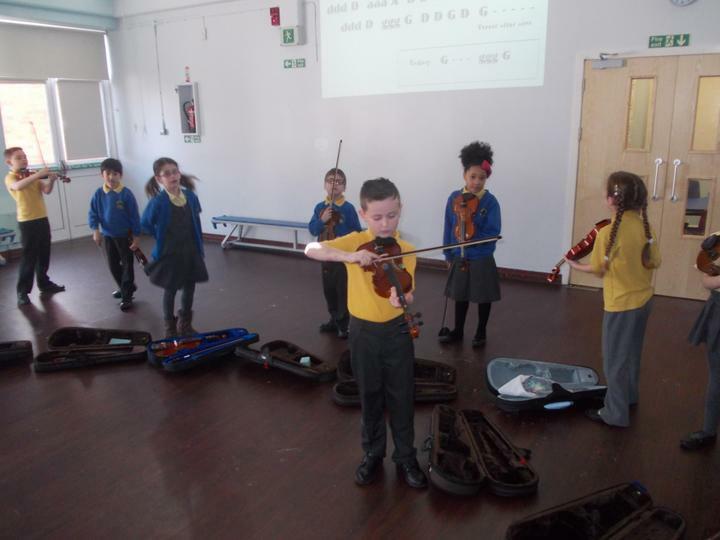 We are all really enjoying learning to play the violin. 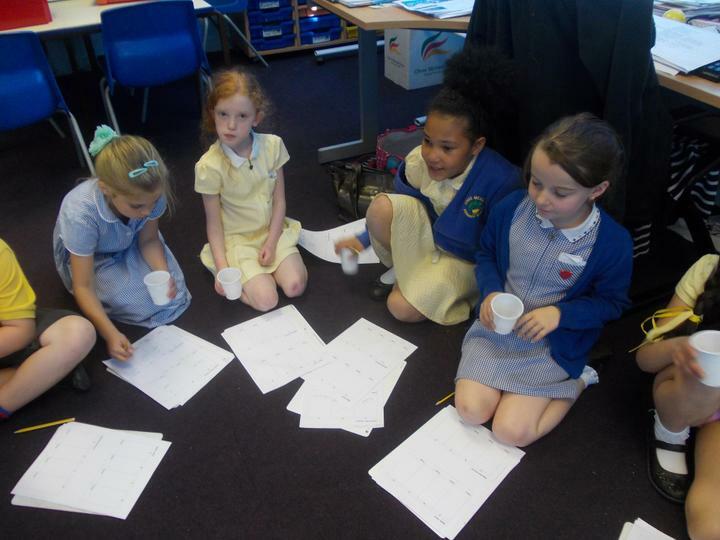 For the past few weeks we have been having a go at composing our own pieces of music. 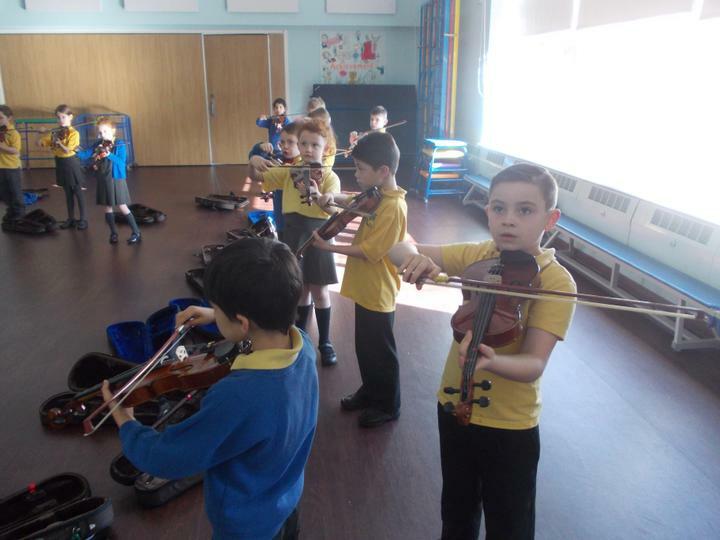 This has meant one person has conducted the group while the other children have performed it for the rest of the class. 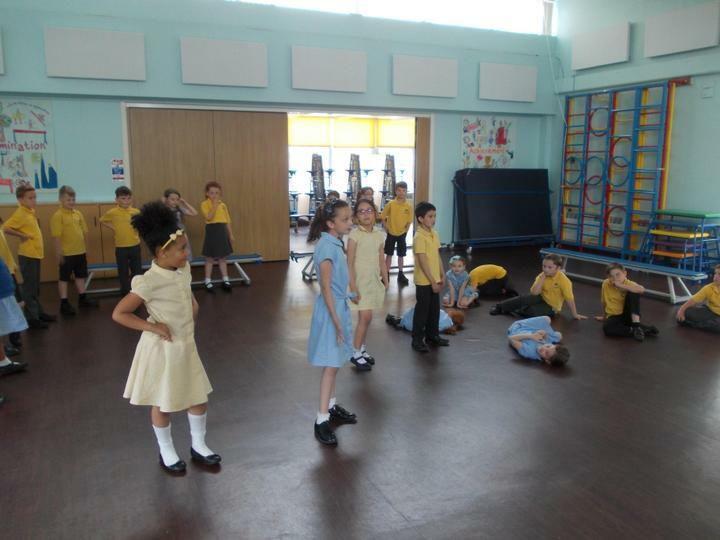 Year 3 had a very interesting talk today by Dr Donnelly all about anatomy! 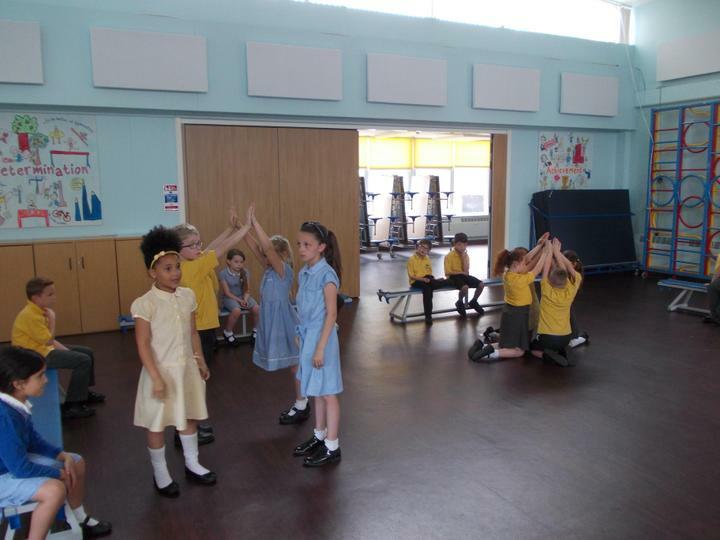 As part of our Science topic, we have been learning about our skeleton. 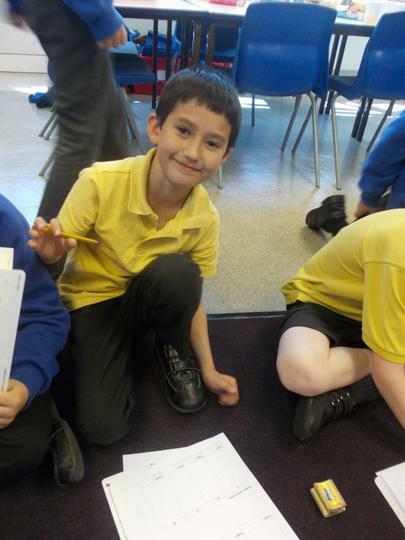 We learnt lots of new facts about our skeleton! 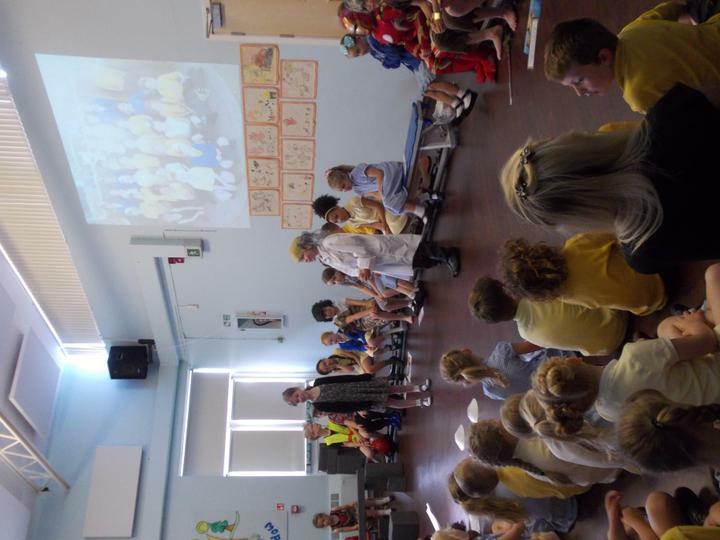 Thank you Dr Donnelly!